Happy St. Paddy’s Day to all of our friends and family! 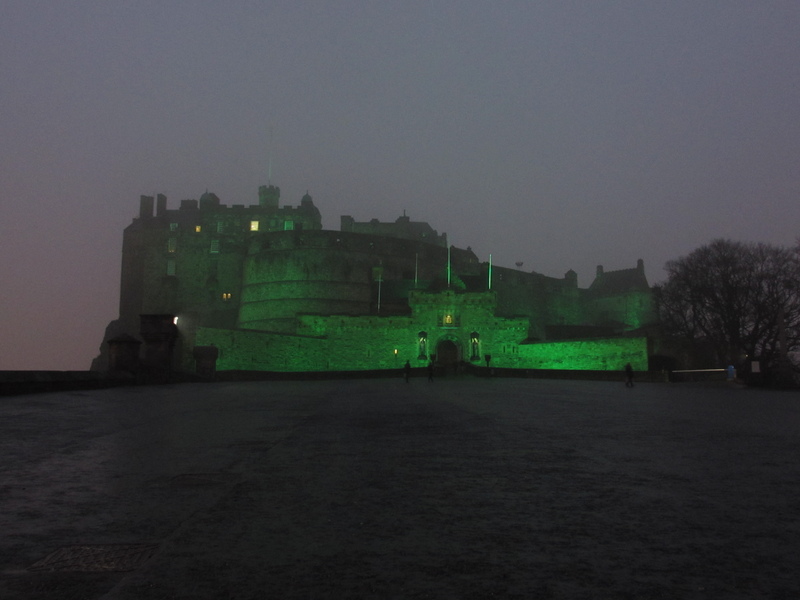 Edinburgh Castle is one of 160 landmarks around the world to “go green” tonight…Alex and I walked up to the castle to see it up close; the view was especially delightful in contrast to the foggy evening backdrop. 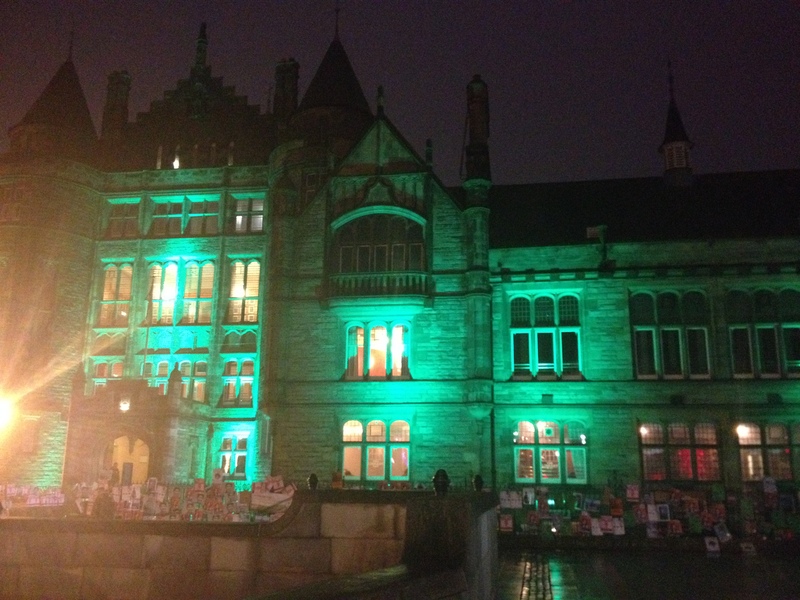 To celebrate, we stopped by our local Student Union, which also went green for the occasion. 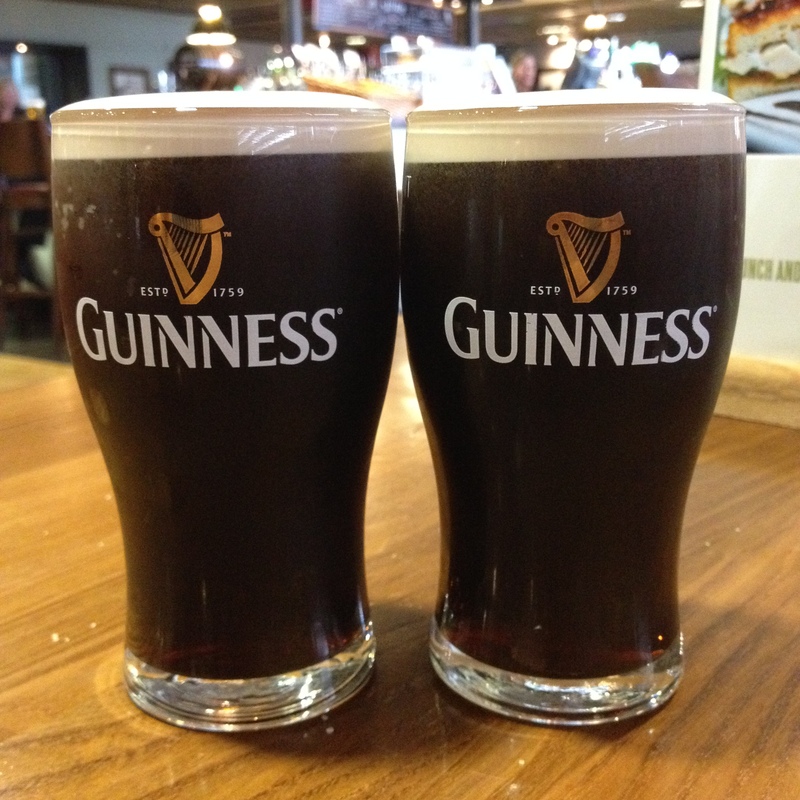 An Irish band played classic folk songs while we enjoyed some perfectly poured Guinness beers. All in all, we had an enjoyable evening and a good study break with friends! We hope everyone has a fantastic St. Patrick’s Day! Have fun, and most of all, be safe! 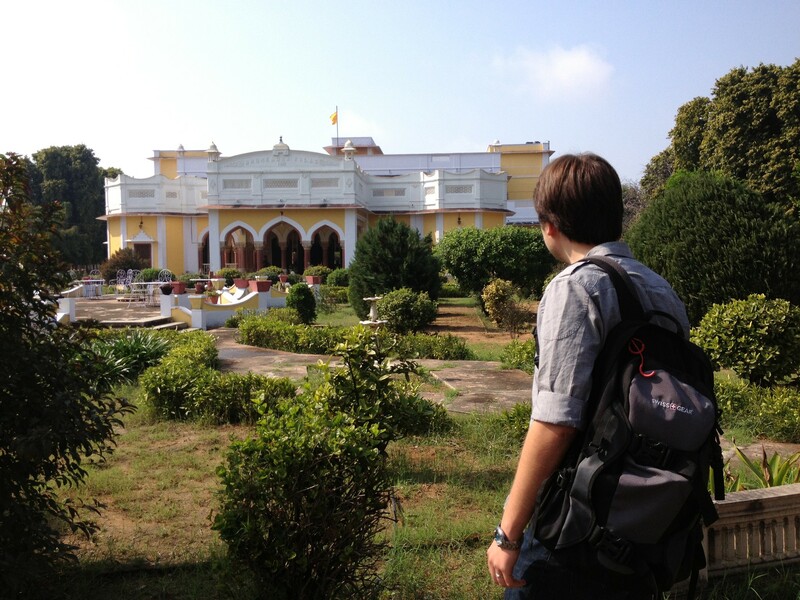 While visiting India, Alex and I had the opportunity to stay at a palace in the small town of Karauli. 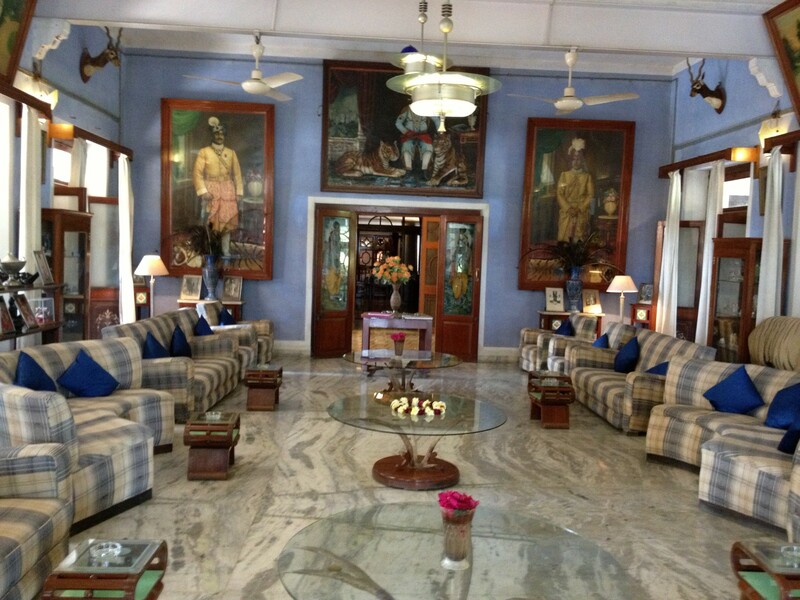 Built in 1938, this palace provided a unique insight into the life of royalty in Colonial India. 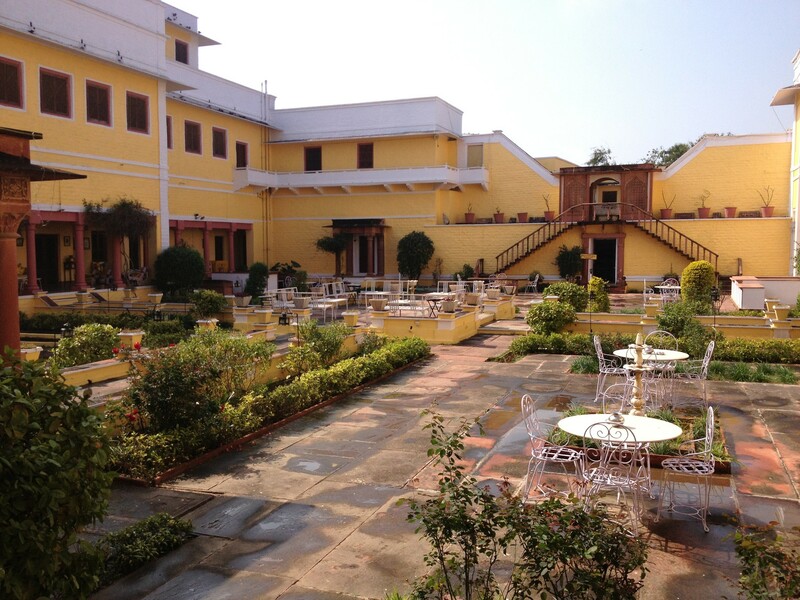 Located in the countryside of Rajasthan, Karauli was a welcome break from the busier cities of Delhi and Jaipur. After receiving our room keys, we had a chance to walk around the palace. 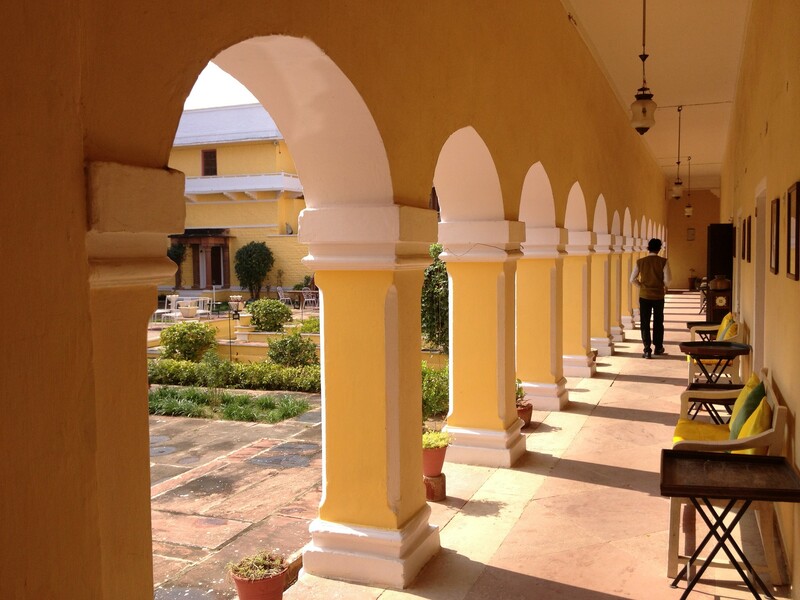 The main courtyard was very beautiful and serene. 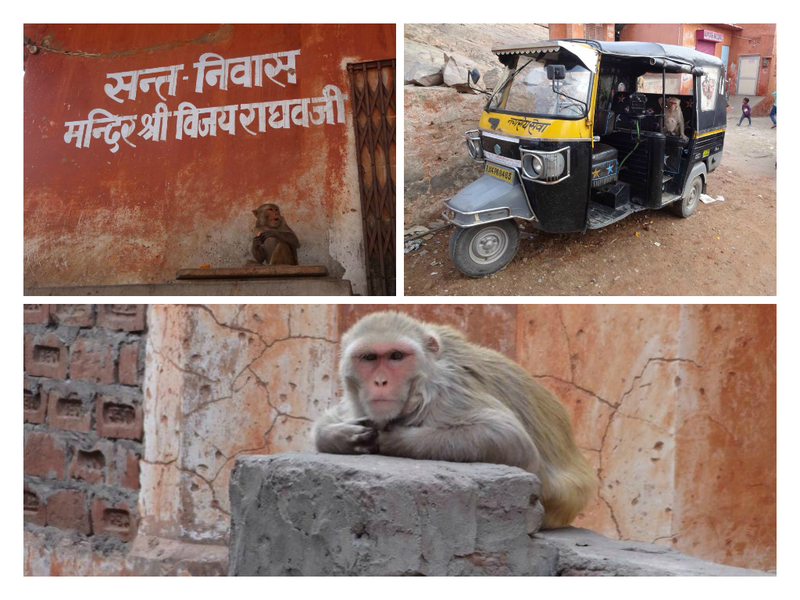 It was the perfect place to sit down, enjoy a cup of masala chai, and read a book. Near the main building, they have a garage with a cool collection of vintage cars, which are still maintained and driven occasionally. 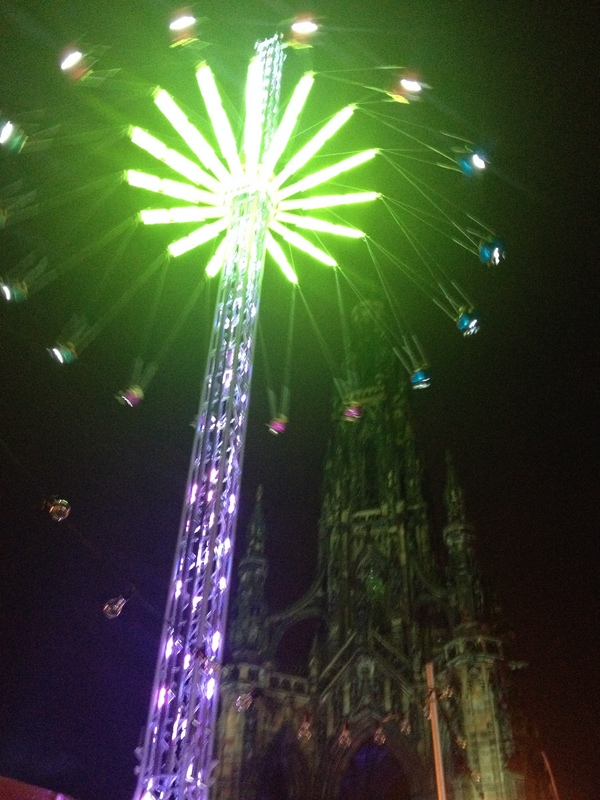 My friend and I resisted the temptation to go for a joyride, but enjoyed ourselves anyway! Lunch was in the formal dining hall. It was a beautiful set-up, and right off of the main courtyard. They served us sandwiches and light soup, but it was a nice “refresher meal” for us after a first few days spent in Delhi. The room itself was in a separate building from the main palace. 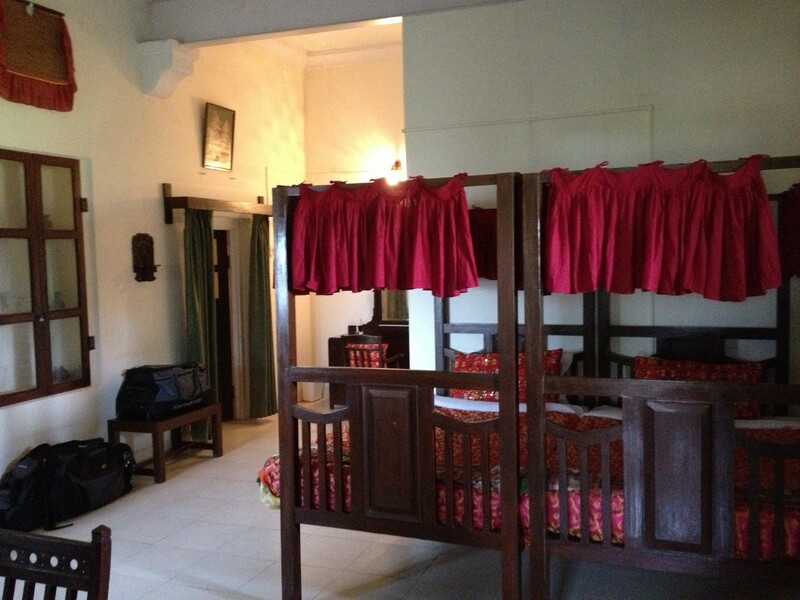 We were surprised to find that we had one of the largest rooms in residence, the “Queen’s Room”. It included a large main bedroom, a bathroom, a separate sitting room, and a large private balcony. We were very lucky! Being a 21st century traveler, the first thing I noticed was the absence of a television. Then came the realization that there were no outlets, either. 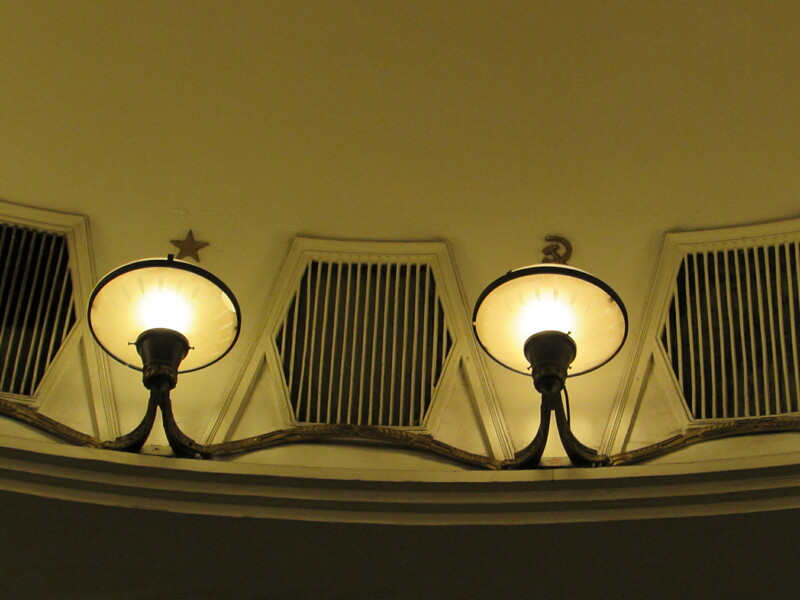 Aside from the light next to our door, we felt like we had really stepped back in time! We laughed about it for a few minutes and then decided to fully embrace the experience. I’m glad we did! 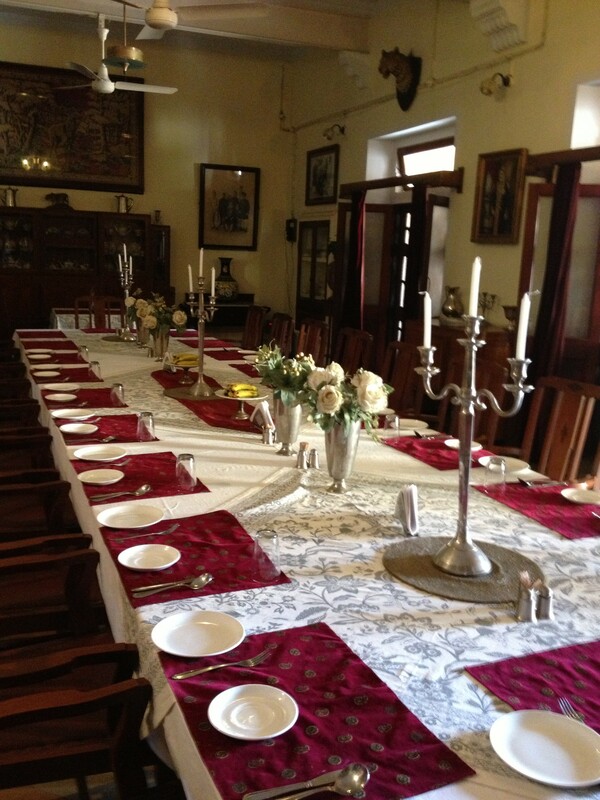 We had a good, authentic Indian dinner, which took place in one of the other main buildings. 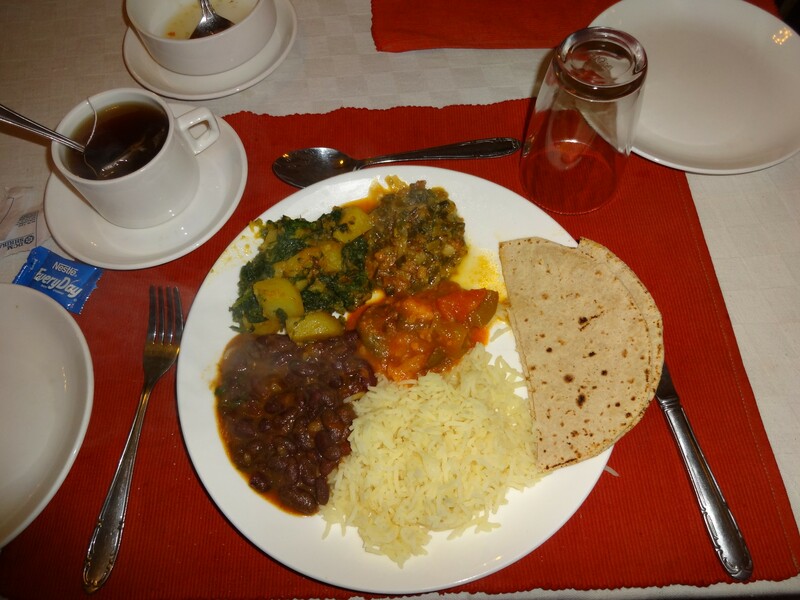 The food was good, and it wasn’t very spicy (read: easily digestible). Everyone enjoyed their meals, and I especially appreciated all of the vegetarian options that were offered. Overall, we had such a memorable stay. Most of all, we really appreciated the opportunity to have some peace and quiet outside of the city, and also didn’t mind “unplugging” for a bit. The biggest issue during our stay was that the screens on the bathroom windows were widely spaced (and not able to be closed), so we did have mosquitos flying around our room at night. To deal with this, we sprayed ourselves with mosquito repellant and wore long shirts and pants to bed. Neither of us woke up with any bites, luckily, but anyone staying out in the countryside should be aware that there are plenty of mosquitos around! 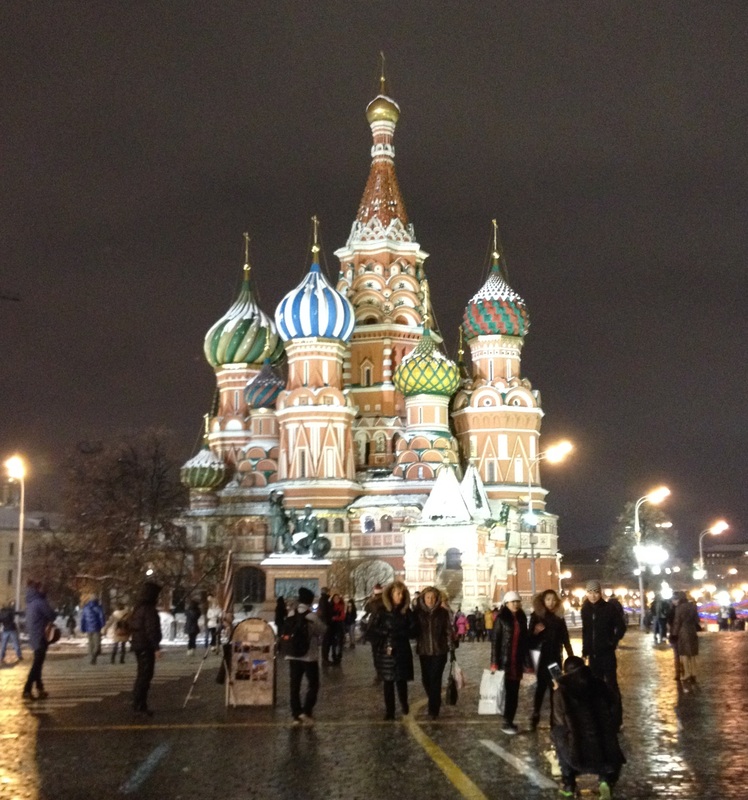 When I first told friends and family about my upcoming trip to Russia in December, I was met with skepticism. The most common remarks ranged from “But WHY?”, to “Can’t you just wait until it gets warmer?”. 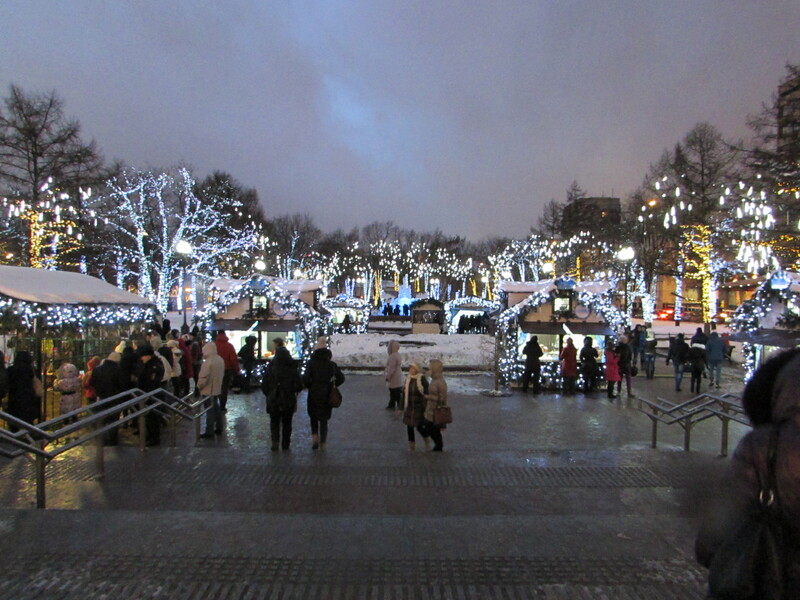 In fact, even while I was already there, Russians kept encouraging me to “come back in Summer”. Despite the naysayers, I am so glad that I went when I did. 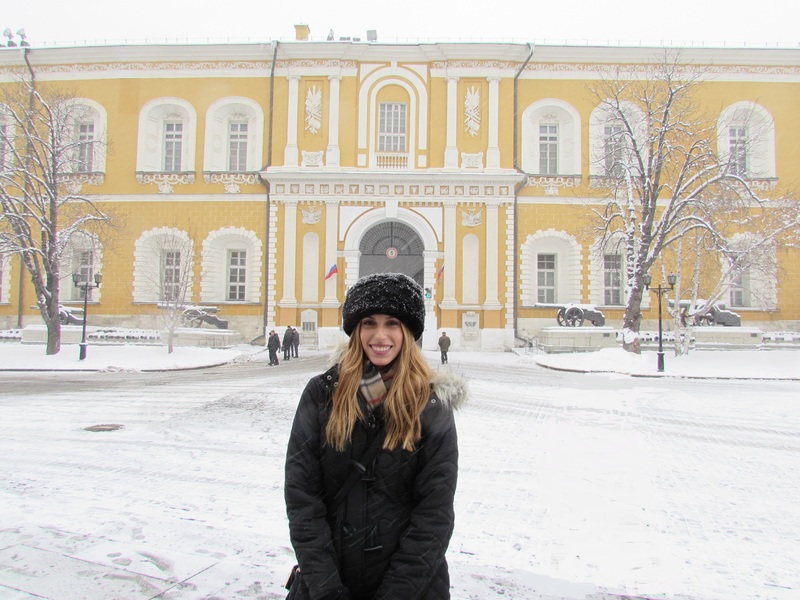 Seeing Moscow at its most “authentic” was truly an unforgettable experience. 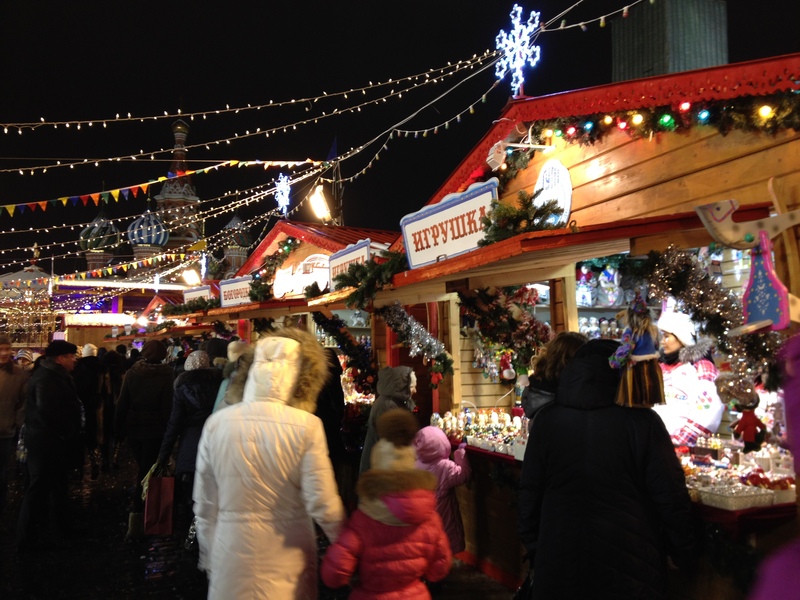 Yes it’s cold and it gets dark early, but this is how Russians spend at least 6 months out of every year. I developed a much better understanding of the attitudes and mindsets that make Russians so notoriously tough. Further, there were hardly any tourists around, which meant that we had the opportunity to enjoy major attractions to ourselves with little to no lines. 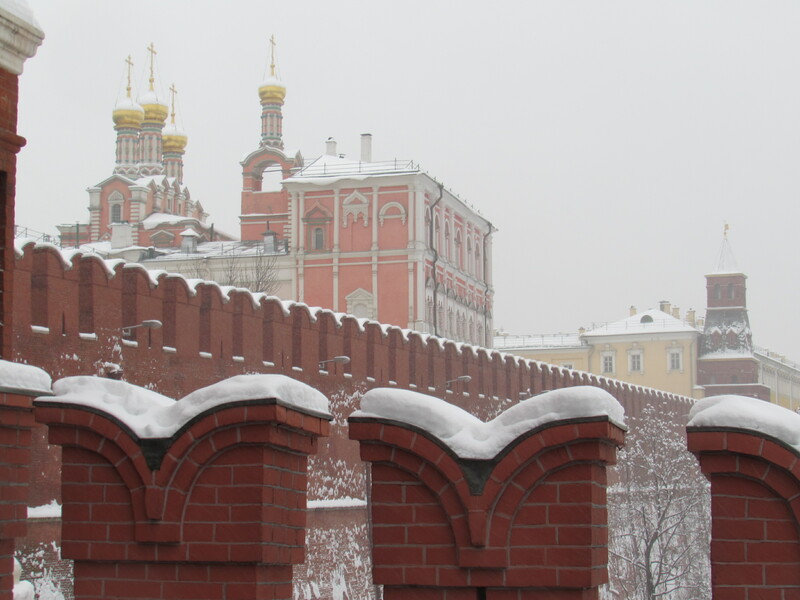 There’s just something really cool about being one of only a few visitors walking around the Kremlin…it feels so exclusive! 1. 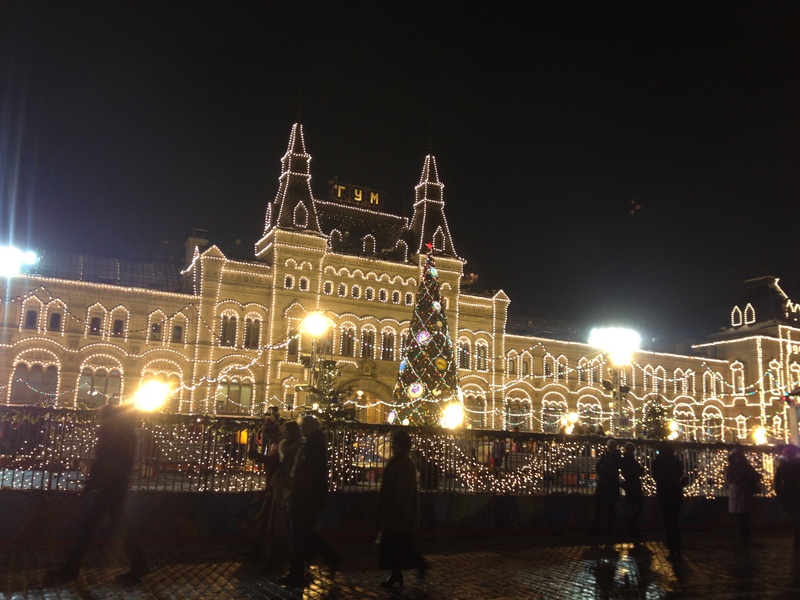 Christmas/New Years’ Markets and Festive Decorations- If you visit Russia over the holidays, be sure to check out the Christmas markets. 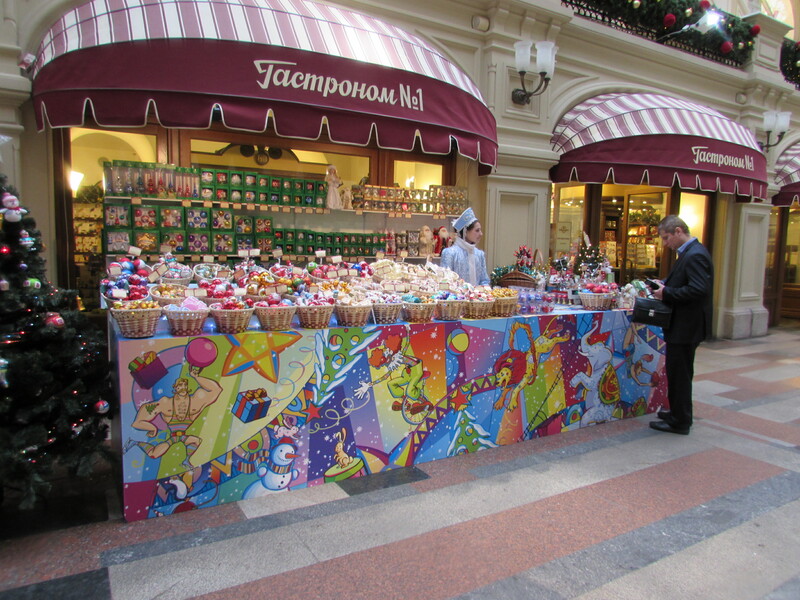 They sell candies, matryoshka dolls, baked goods, and other Christmas-y gifts and souvenirs. 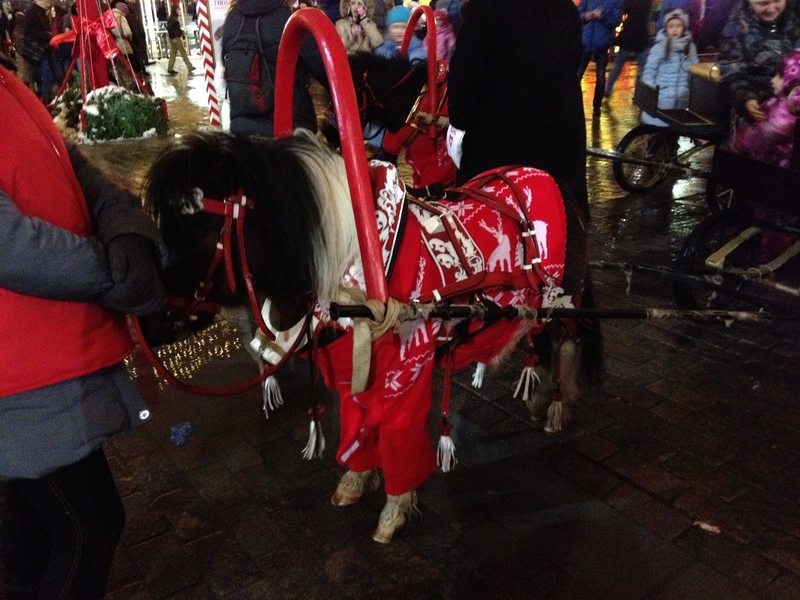 Other interesting sights at the Christmas markets include ponies, reindeer, and Ded Moroz (Grandfather Frost). 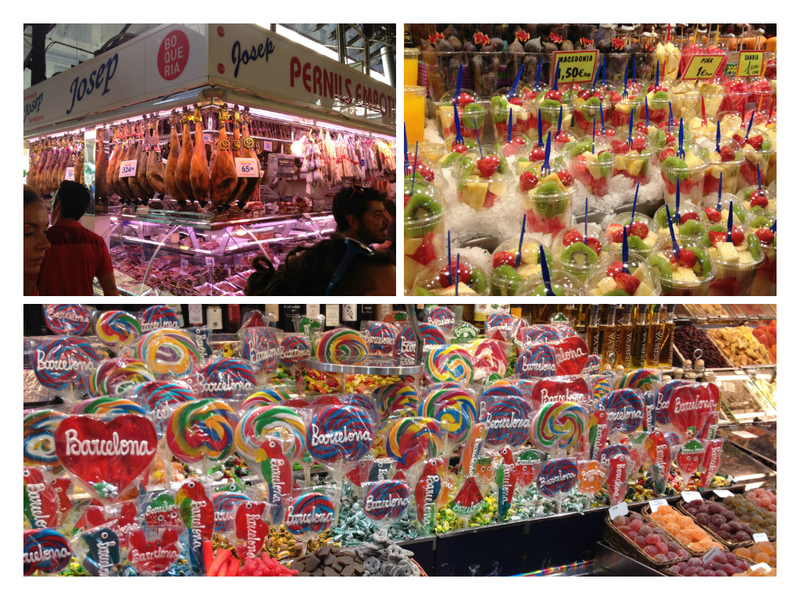 Every market has different features, making each one fun to discover. 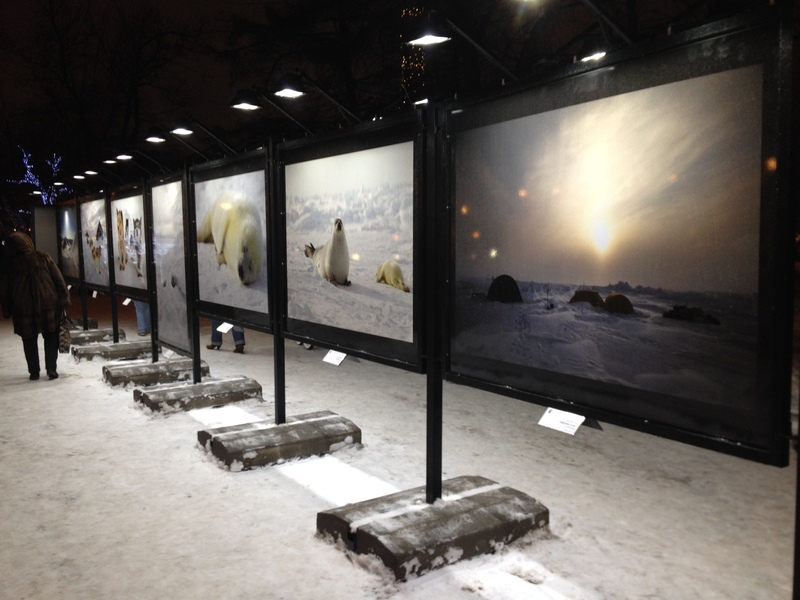 Near Cafe Pushkin in Moscow, for example, we enjoyed walking around an outdoor art gallery. 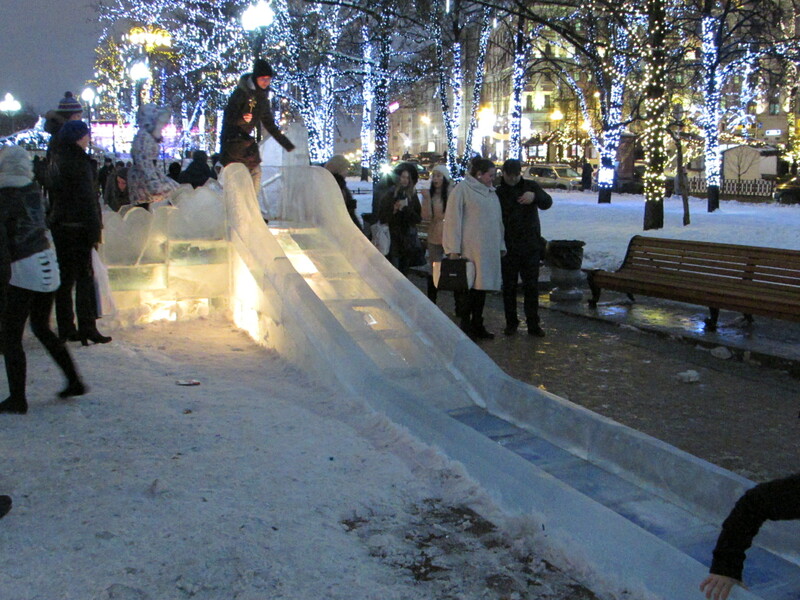 There are also plenty of ice sculptures. Some of my favorites included an ice maze and ice slides. 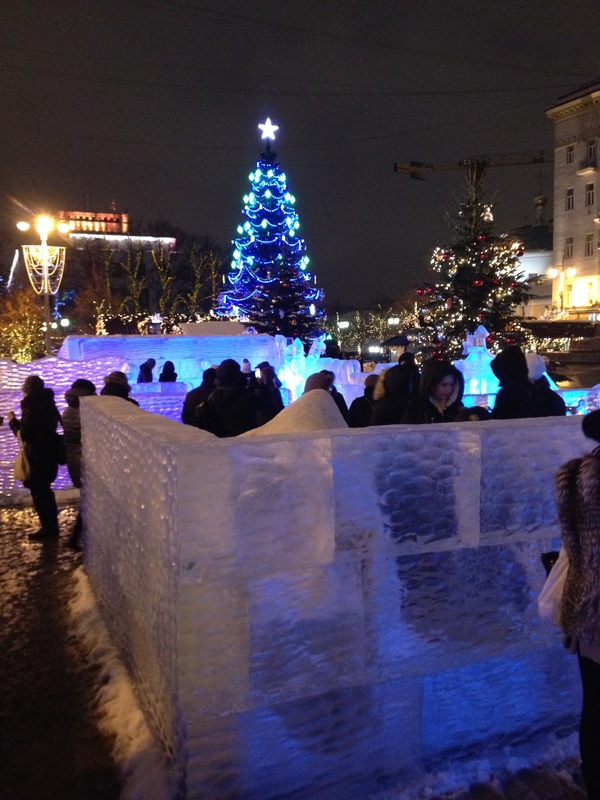 Ice displays are a time-honored tradition all over Russia, and exist in both large cities and way out in Siberia. 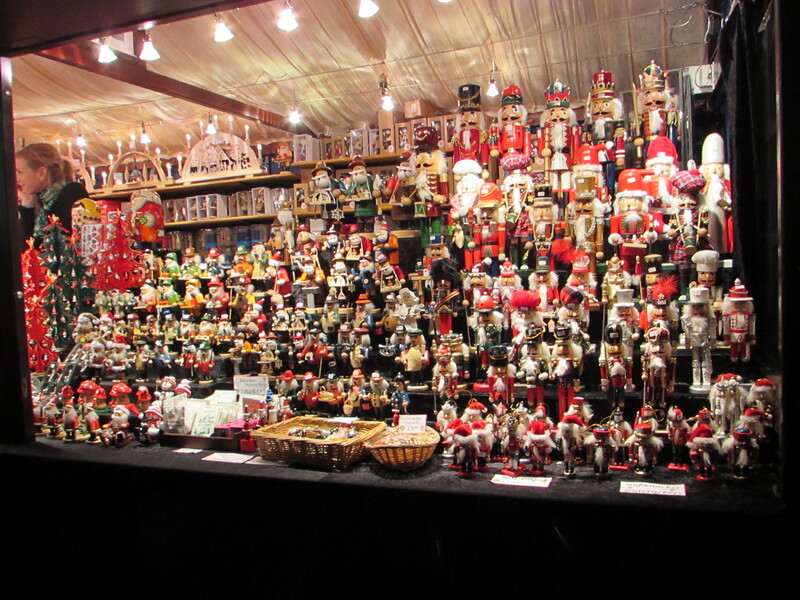 Stores and businesses are also outfitted for the holiday season. 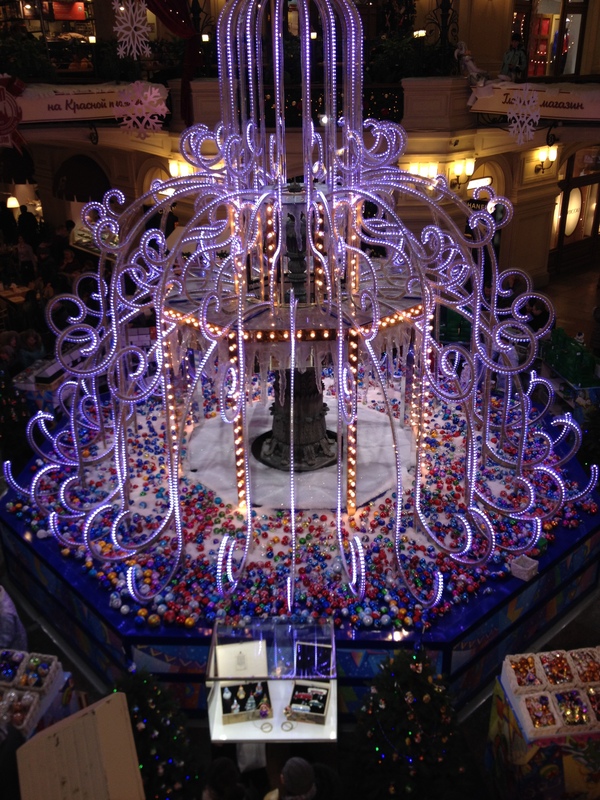 GUM shopping centre in Moscow, for example, has quite the display, with Christmas stalls throughout. 2. 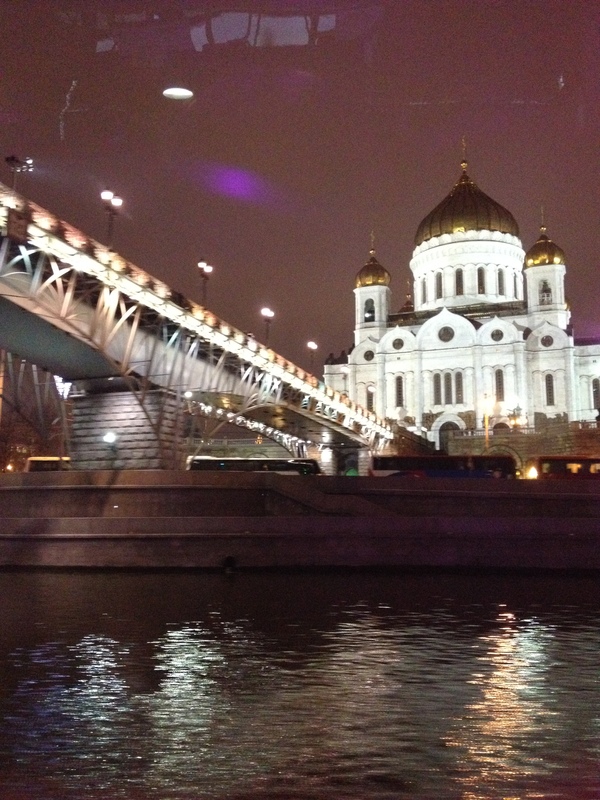 Sparkling Night Lights- Moscow is a beautiful city at night. While these lights can be seen year-round, longer hours of darkness during Winter means there are more opportunities to literally see the city in a different light. 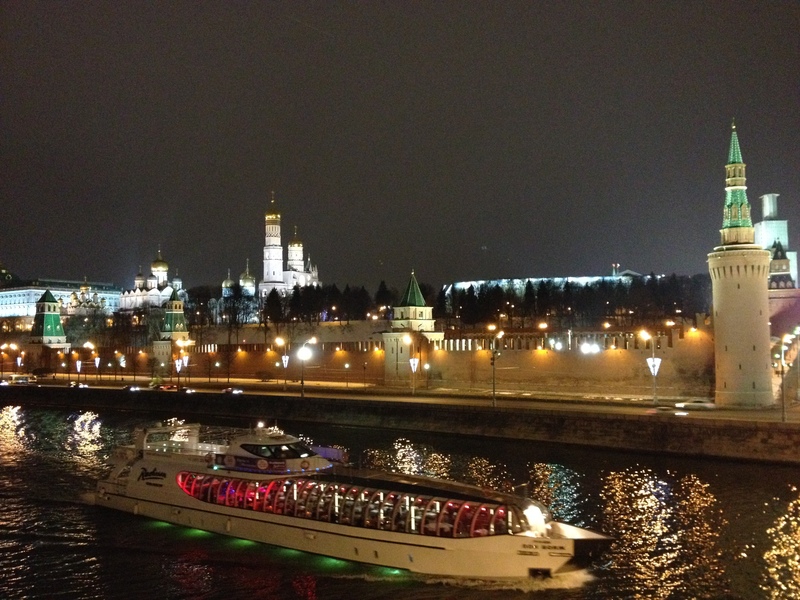 In fact, one of the best ways to see Moscow at night is on the River Moskva. 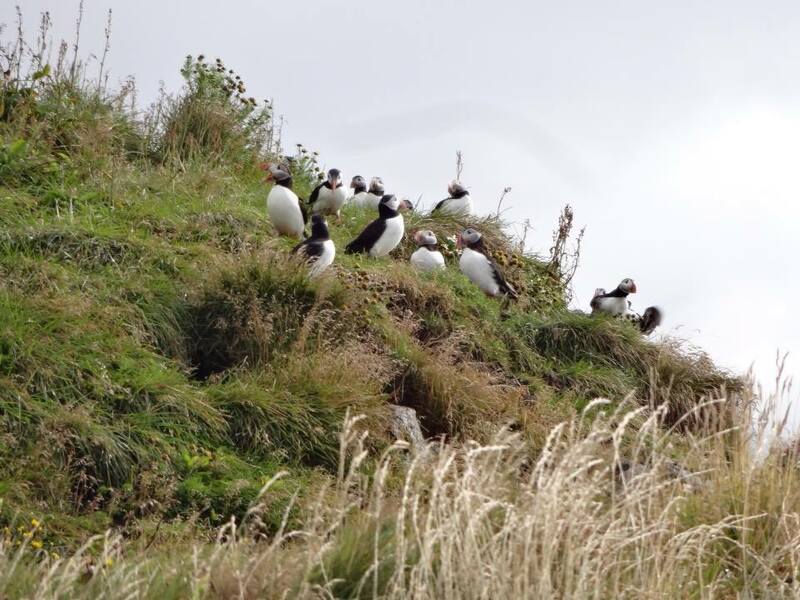 Luckily, all of the major sites lie along the river and are easy to spot. The Radisson hotel runs dinner cruises all-year long, and even has ice-breaking capabilities for when the river is frozen over. 3. The Snow makes for great pictures- If anything, Winter in Russia often results in heavy snowfall. 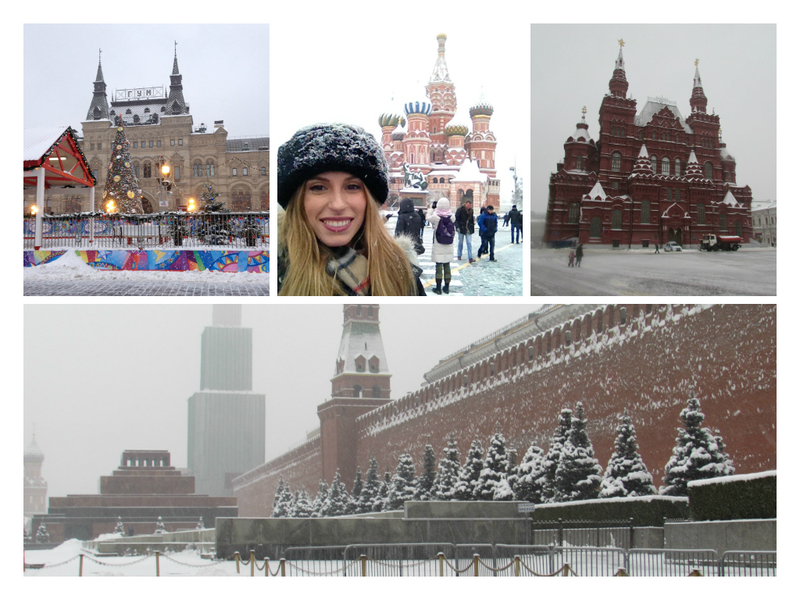 We were lucky enough to get snow on the first day we arrived in Moscow. 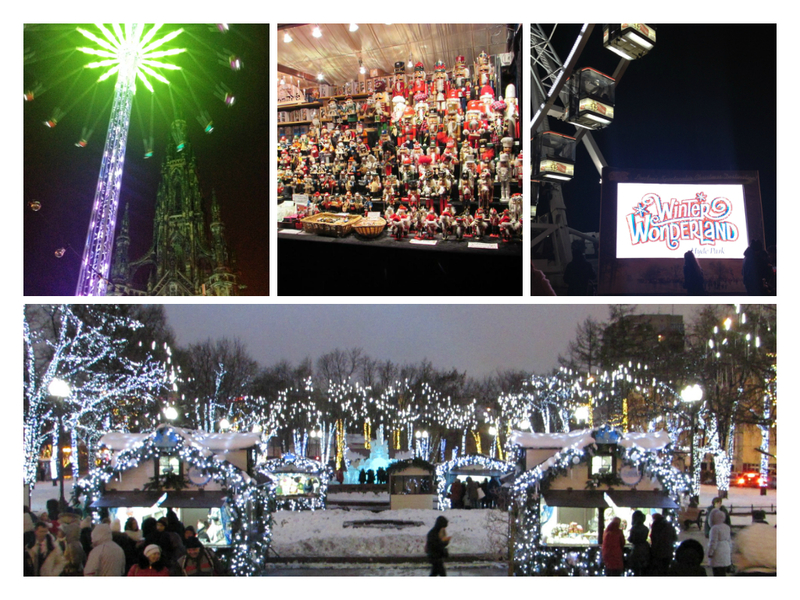 The sights were very picturesque, and exactly like I’ve always imagined it would be. It just added that extra magical touch to everything we saw. As you can see, Russia is absolutely gorgeous during this time of year. So don’t let the weather deter you. Trust me, you’ll be thankful for the experience and will walk away with a new appreciation of this beautiful country and its people! 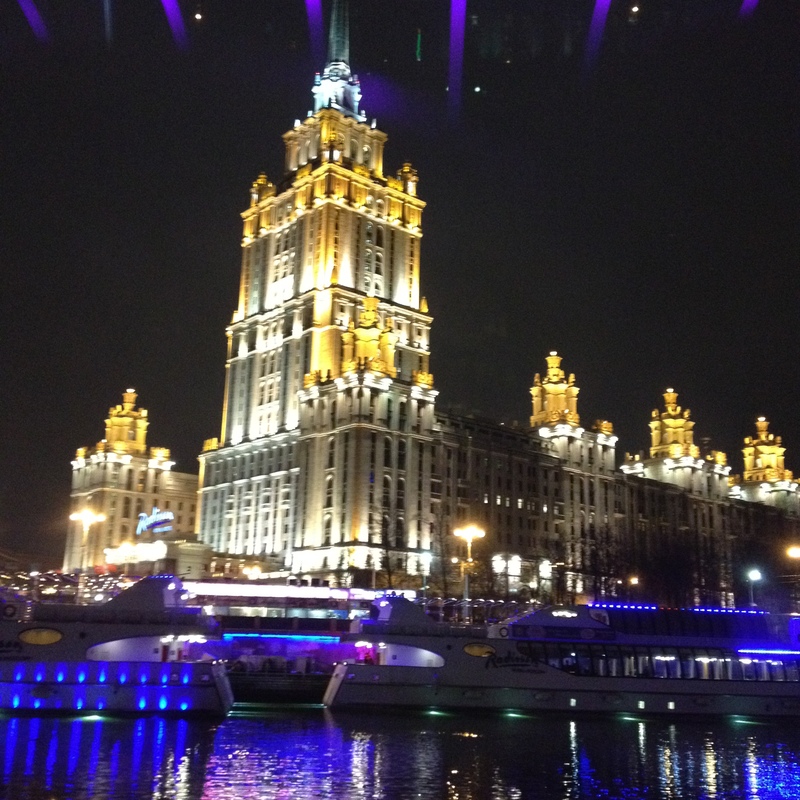 Moscow is now a part of the Russian Federation, but until 23 years ago, it was the capital of the Soviet Union. 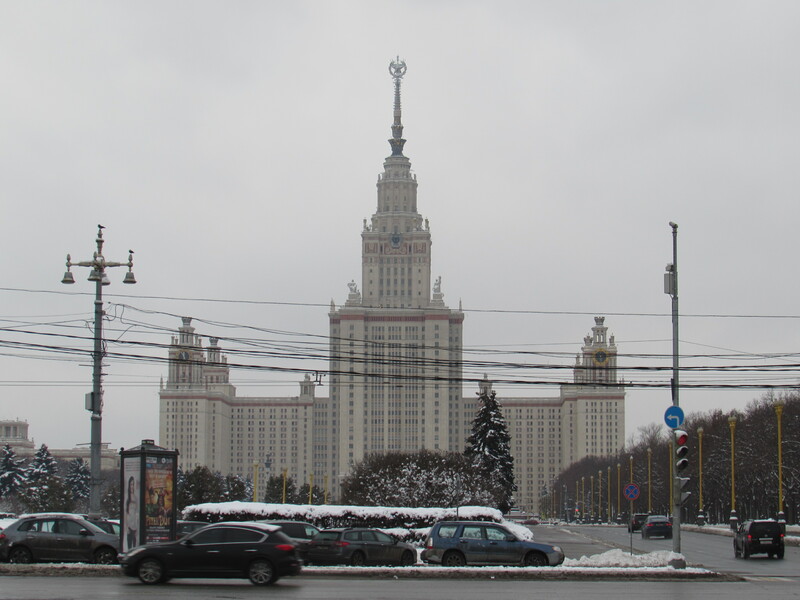 Reminders of the city’s Soviet past abound, with impressive yet deceiving displays of grandeur and strength that bring to mind the shortages and propaganda which characterized the times. Before coming to Russia, I imagined Moscow to be a bit like London: a large city that has become an amalgam of its past, present, and future. And on the surface, it definitely is. 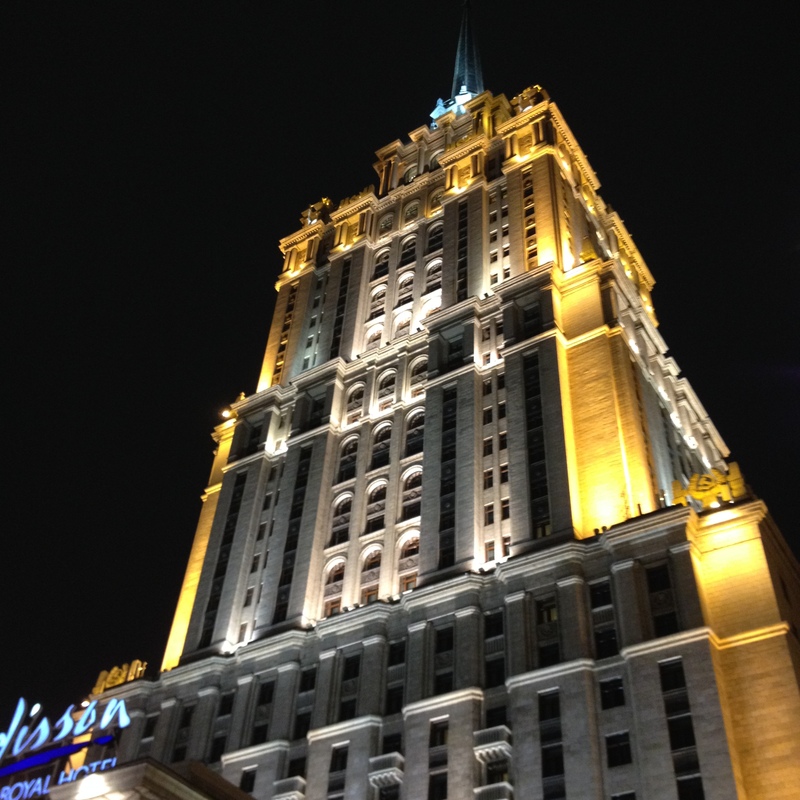 But what is fascinating about Moscow is the fact one can’t help but be taken aback by some of the reminders that this modern, cosmopolitan city was once a part of the USSR. 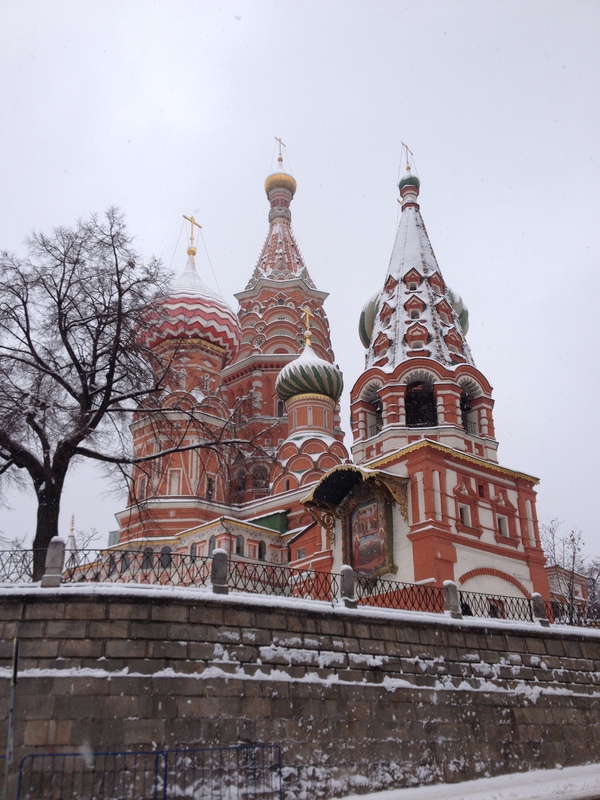 So here I present some of the most interesting Soviet sights in Moscow. 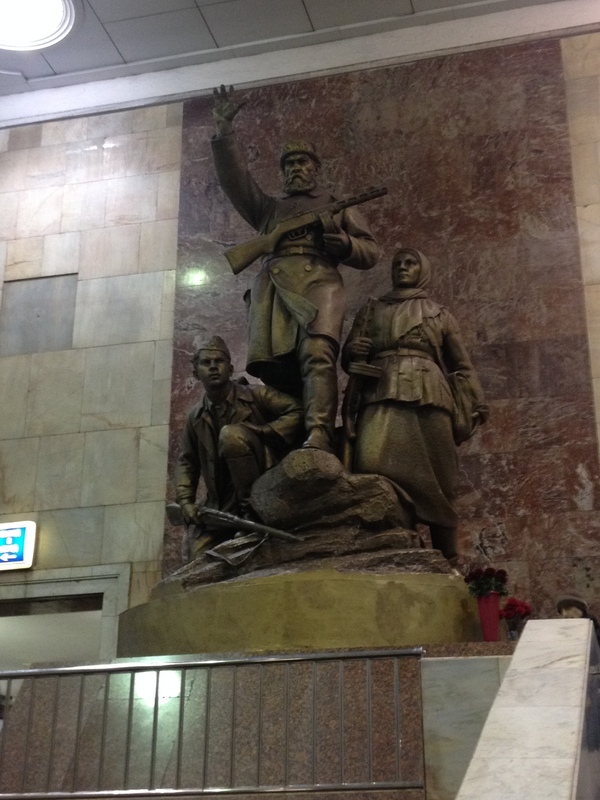 One of the most apparent reminders of the Soviet era is actually underground. 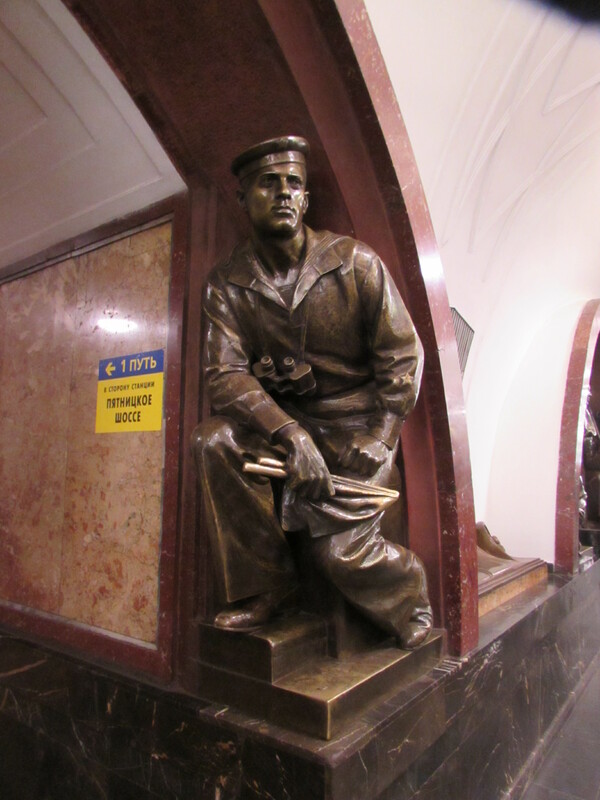 Constructed during Stalin’s regime, the Metro is now one of the most efficient ways to travel through Moscow. 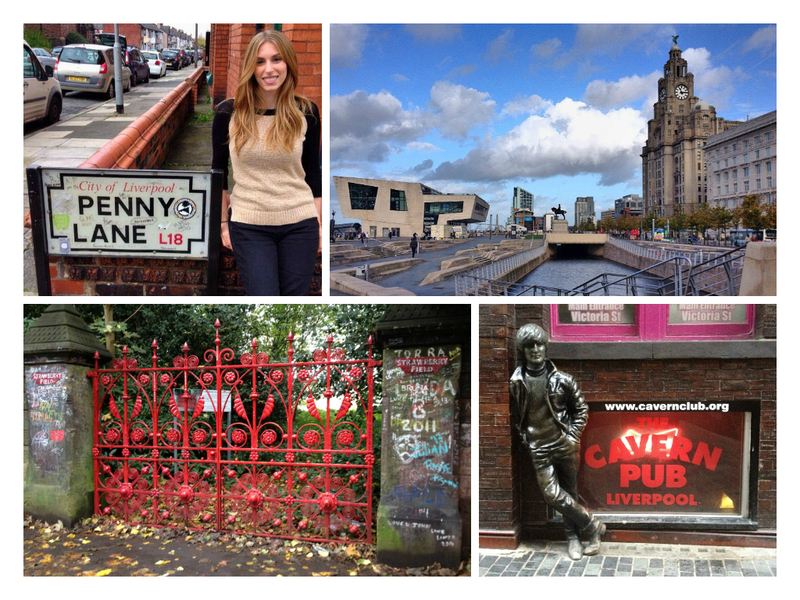 Commuting isn’t typically seen as an exciting experience, but truly this one was! By the end of the trip, I had regretted not getting out at each of the stops just to have a look around. An interesting reminder of the former Soviet Union in Moscow is the “cult of personality” that surrounds its past leaders. 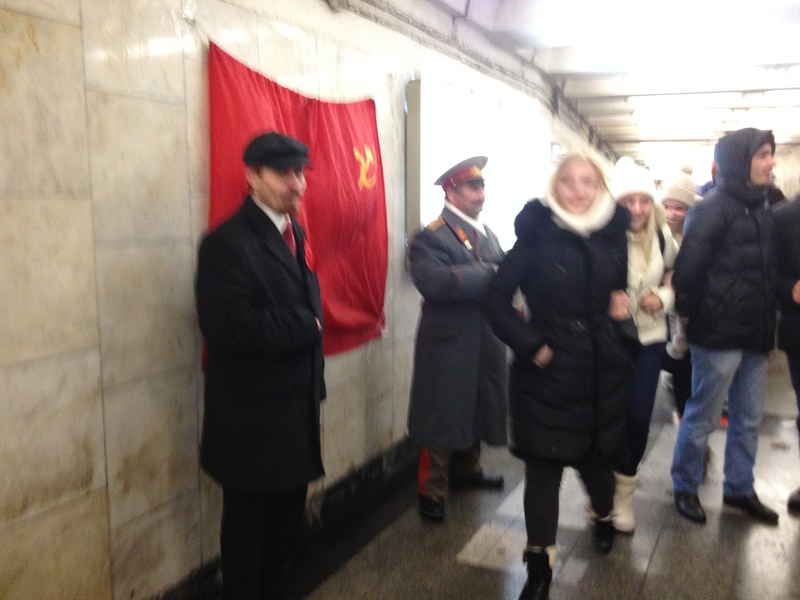 In fact, a visit here would not be complete without seeing people dressed as Lenin and Stalin. 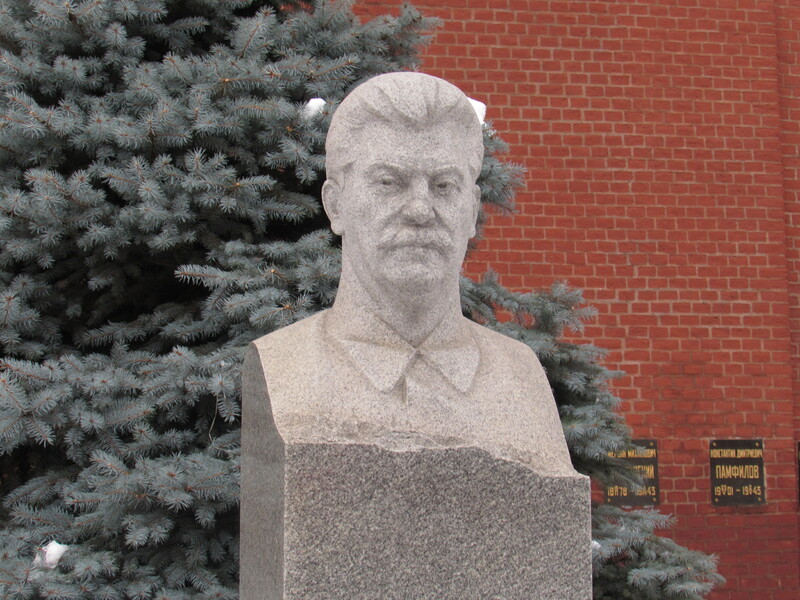 My photo did not turn out, but this was one of two Lenin and Stalin look-a-like pairs. 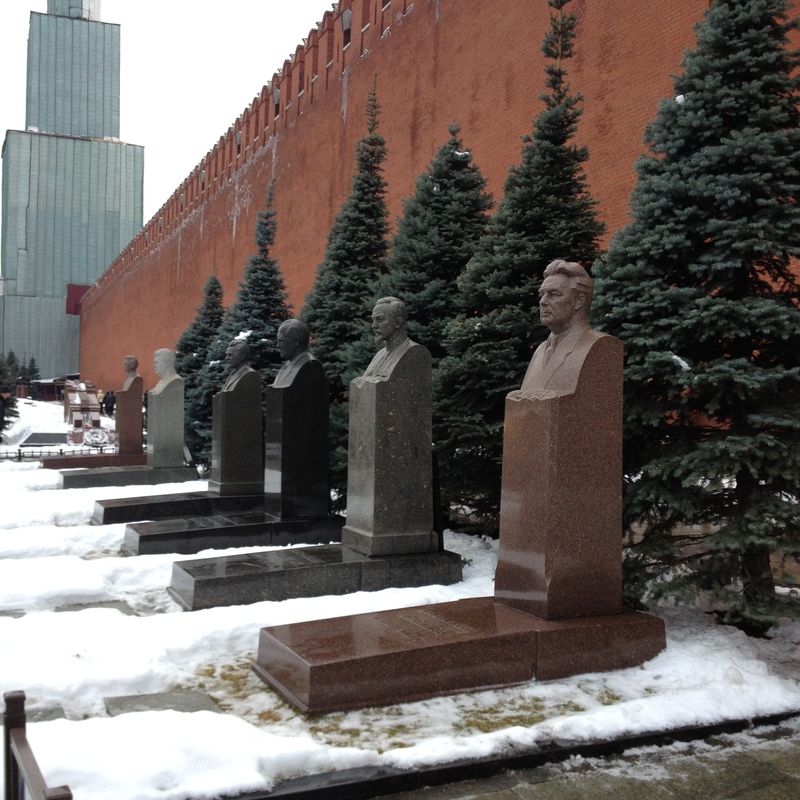 Many Soviet leaders are buried in the most recognizable part of Moscow- the Red Square. 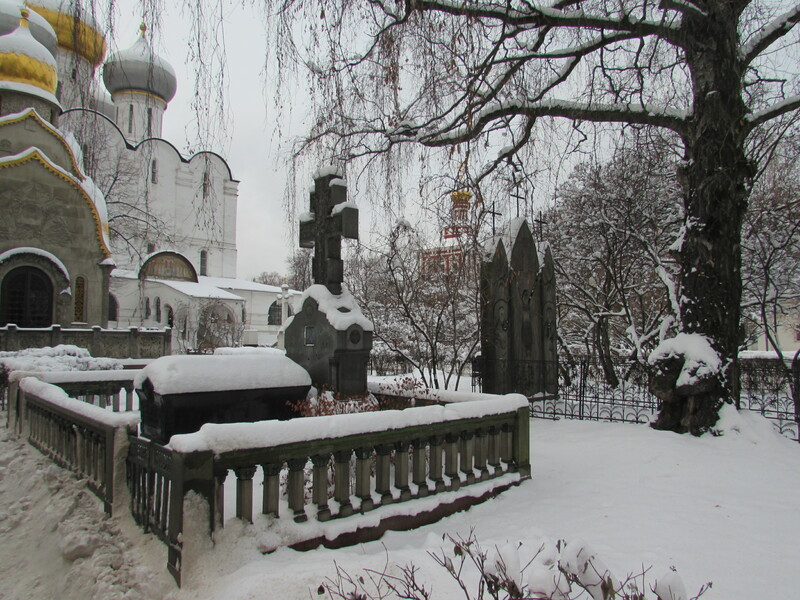 The Necropolis lies inside the square, along the walls of the Kremlin. 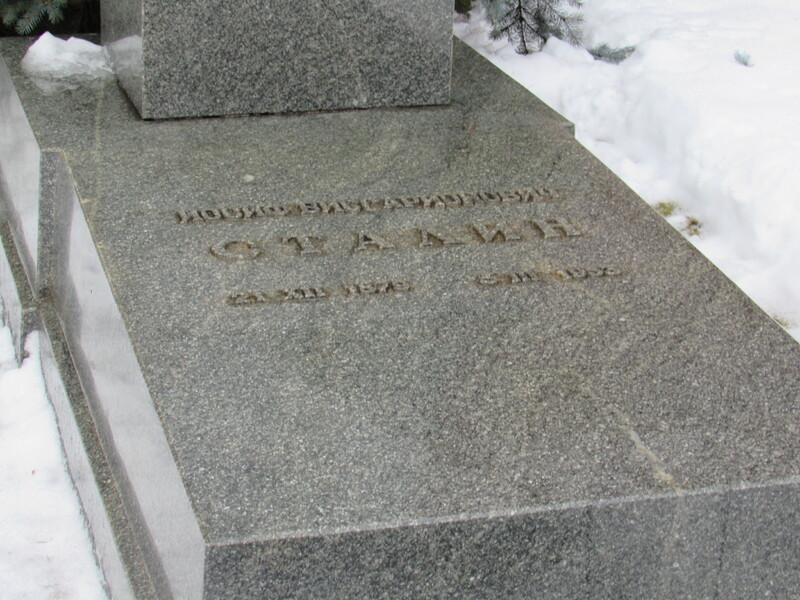 It includes the graves of many famous (and infamous) leaders, including Brezhnev, Chernenko, Andropov, and Stalin. 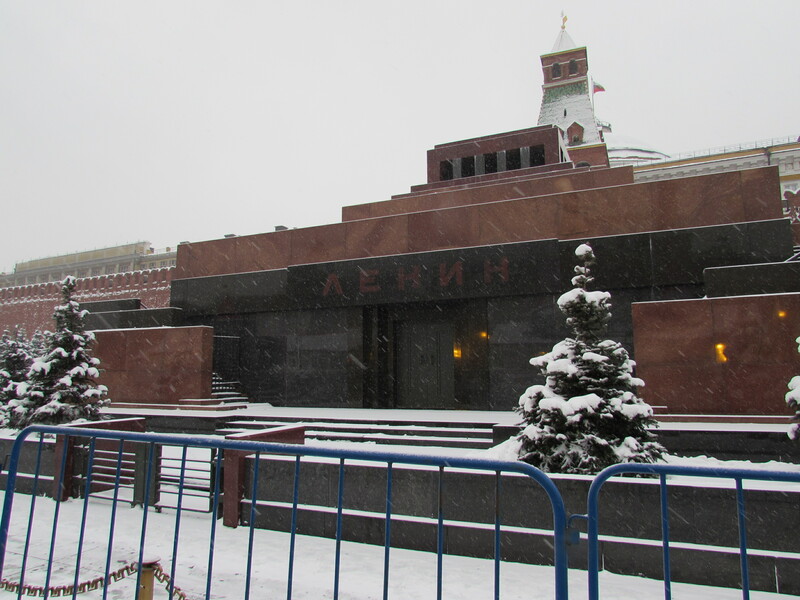 Visitors can only see the necropolis if they also go to Lenin’s mausoleum, which perhaps best represents the cult of personality that encompasses leadership during Soviet times. For those who don’t know, Vladimir Lenin established the Soviet Union. His body was embalmed after his death in 1924 and is now on public display in a mausoleum that was built especially for this purpose…you heard that right! Personally, I think this is a “can’t miss” sight in Moscow, but some may find it a little morbid. 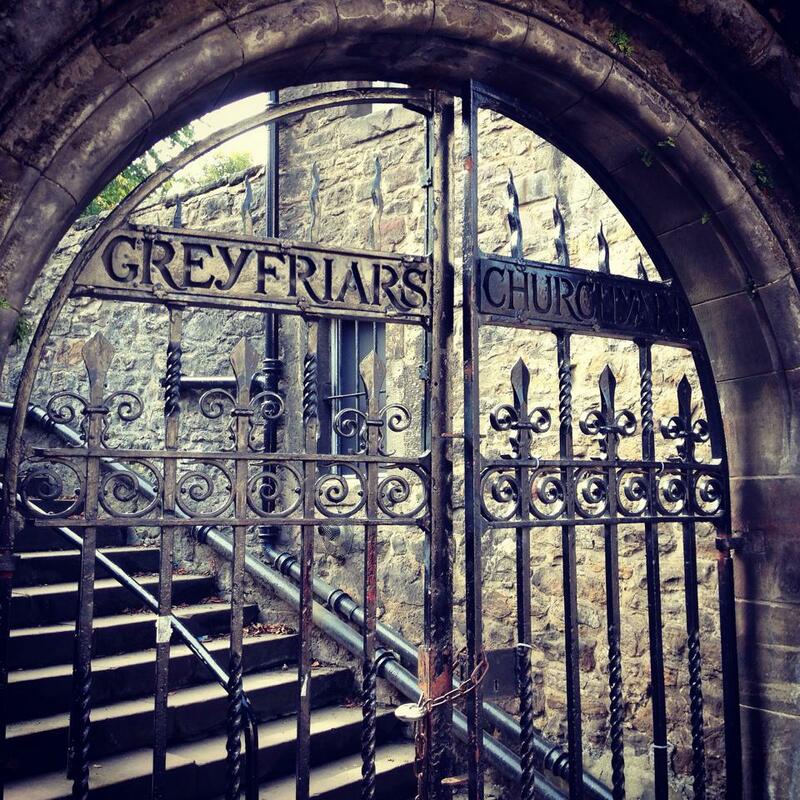 -The mausoleum is free; It’s open every day except Mondays and Fridays. -There is a line to get in, but it is very short. Typically, visitors will only need to wait a few minutes at most. At least during the Winter months. -There are metal detectors at the entrance, where bags will be inspected. Bags no longer have to be checked inside the State History Museum as they have been before. -Photos can be taken outside on the Necropolis, but cameras need to be put away once inside the Mausoleum. Guards will also instruct visitors to take off their hats. 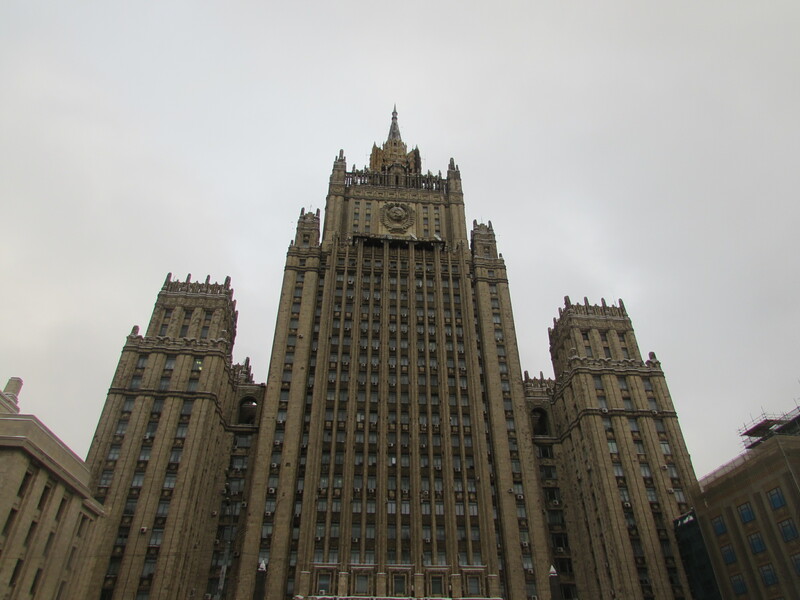 While Moscow is now a part of the Russian Federation, it’s history as the Soviet capital is abundantly clear. 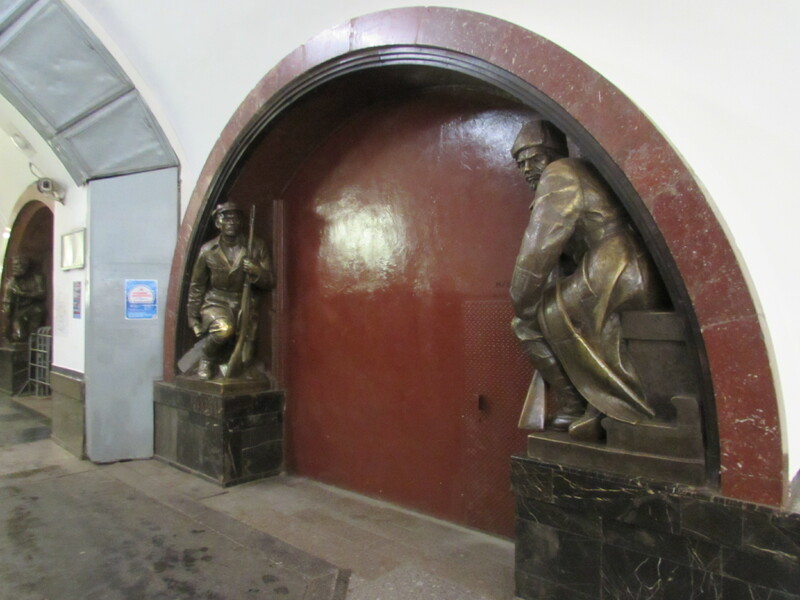 From the Soviet symbols throughout the city’s Metro, to the nostalgic depictions of past leaders, it’s amazing to see little pieces of the past that remain. This is just a brief introduction to some of the many Soviet sights throughout Moscow, but any history buff could spend days walking around the city without getting bored. For those who want to bring something back home, most tourist areas also sell USSR souvenirs. From lighters to shot glasses, to authentic military memorabilia, Russia acknowledges and (somewhat ironically) capitalizes on this part of their history. 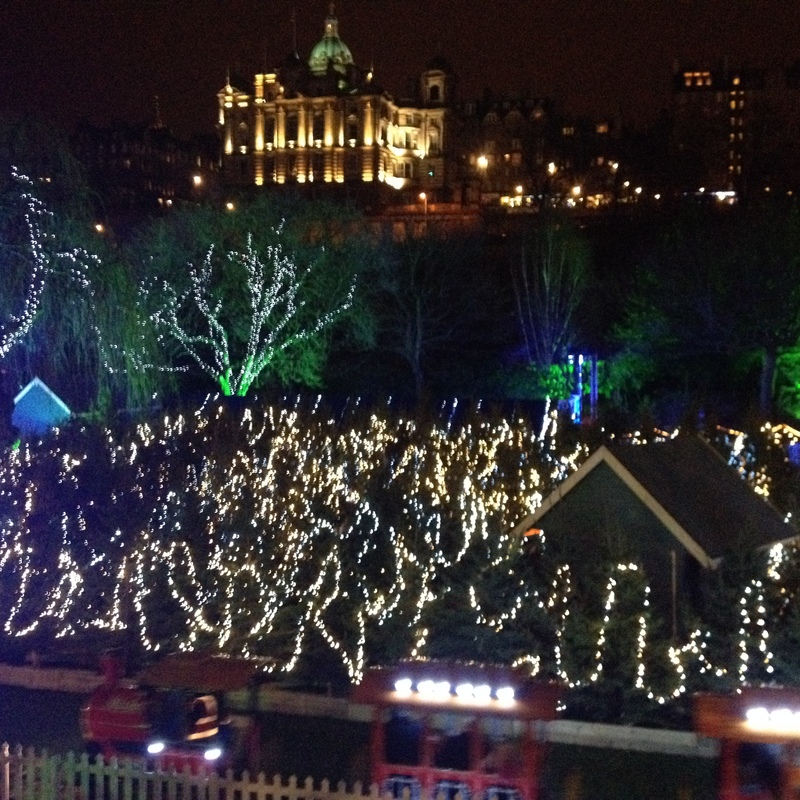 Edinburgh is an easy place to get into the Christmas spirit. 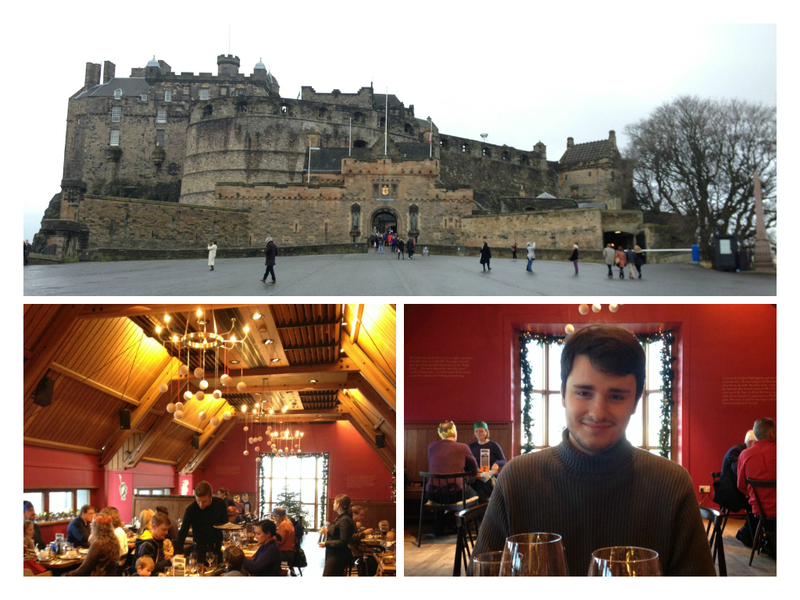 It has cold weather, hearty food, and a very Dickens-esque vibe…this is the UNESCO City of Literature, after all. 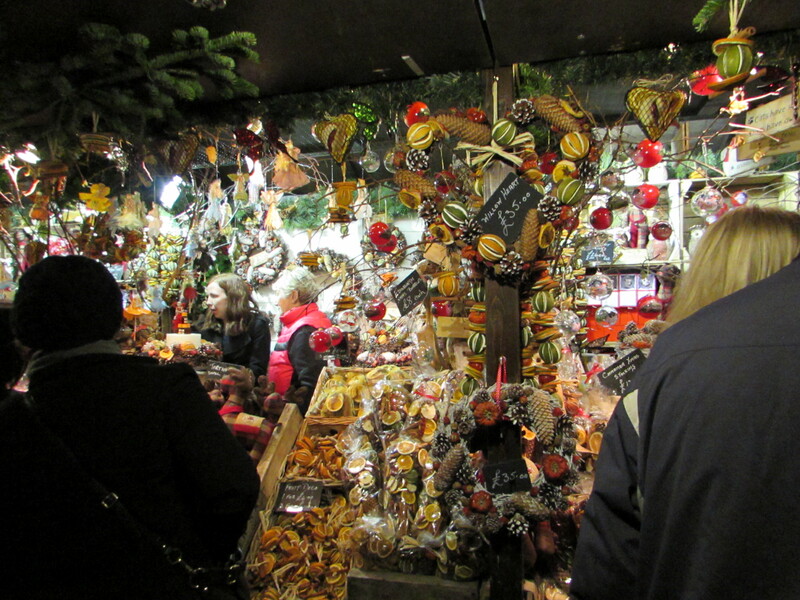 But truly one of the best ways to celebrate the holidays in Europe is at the Christmas markets. 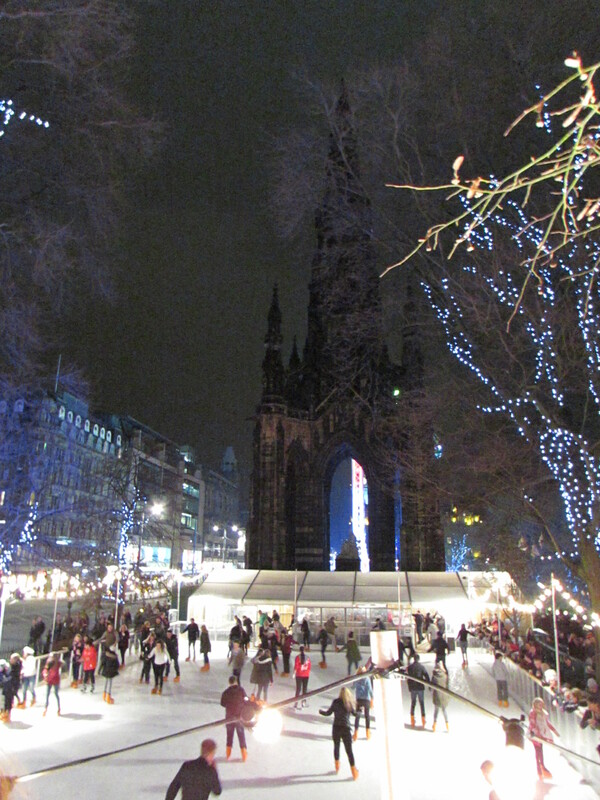 Luckily for us, Edinburgh has a great one. 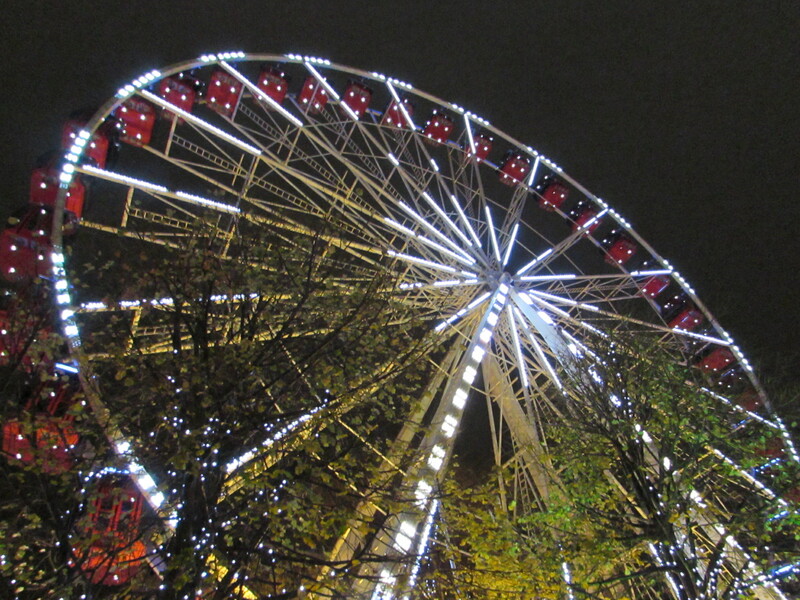 If you are in town for the holidays, be sure not to miss it! 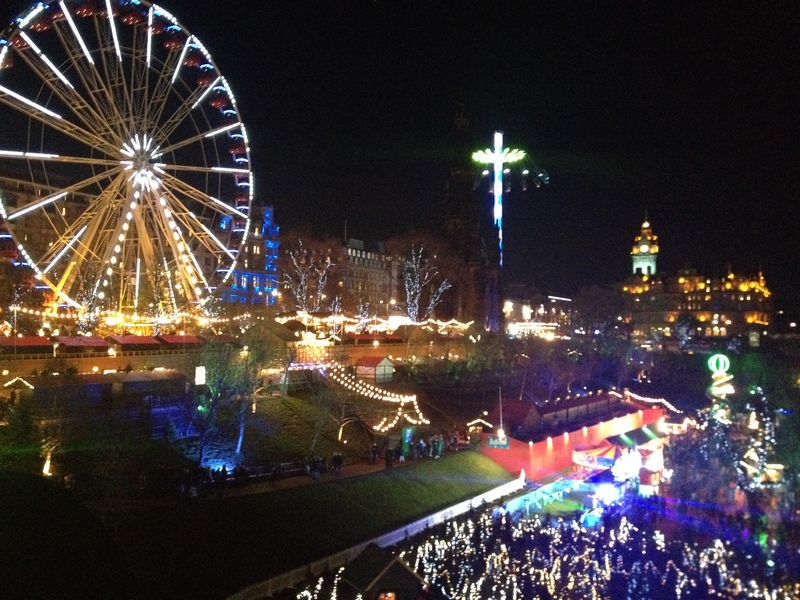 Located off of Princes Street (with stunning views of the castle) the Edinburgh Christmas market runs from the end of November until the beginning of January. 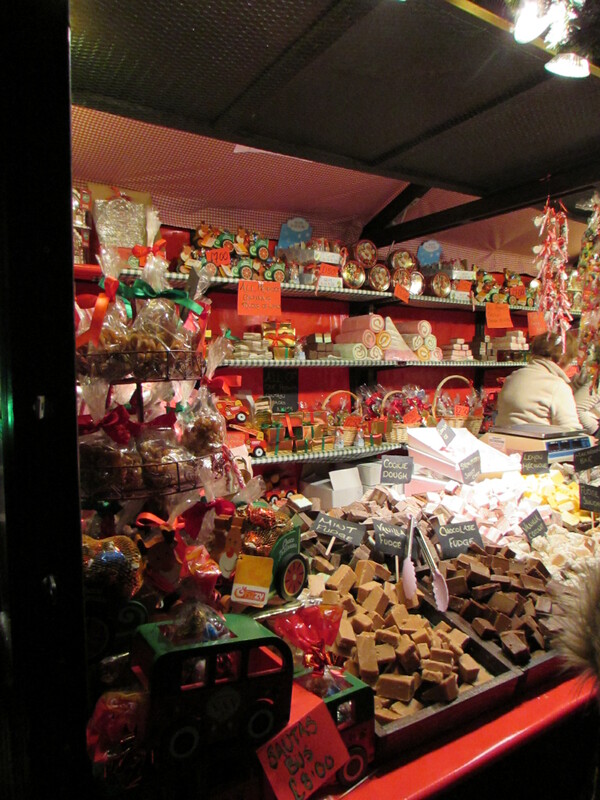 Charming stalls sell everything from furs, to fudge, to nutcrackers. It’s a good place to pick up gifts for friends and family…don’t forget to treat yourself too! 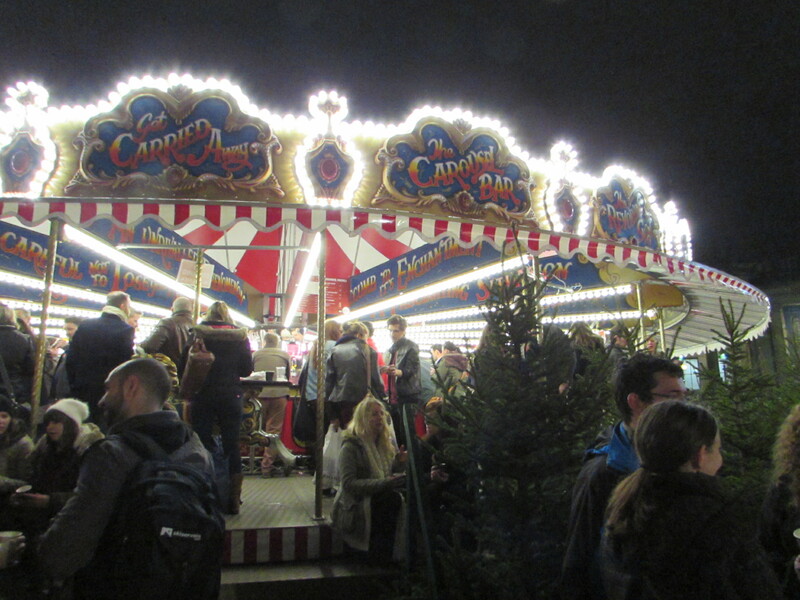 Food stalls are everywhere, and most of them have a Bavarian theme. 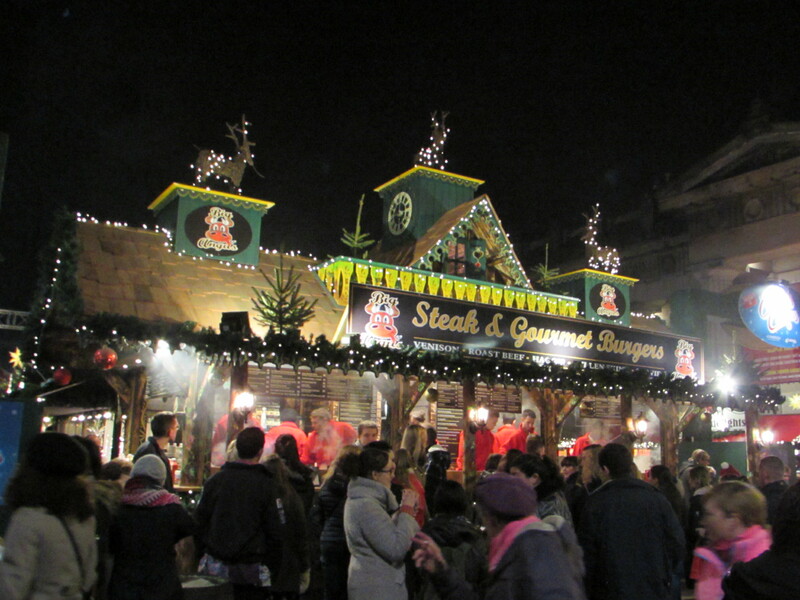 You can find bratwurst, streusel, gluhwein, mulled cider, and soft pretzels. You heard me right: soft pretzels (these are very elusive here)! 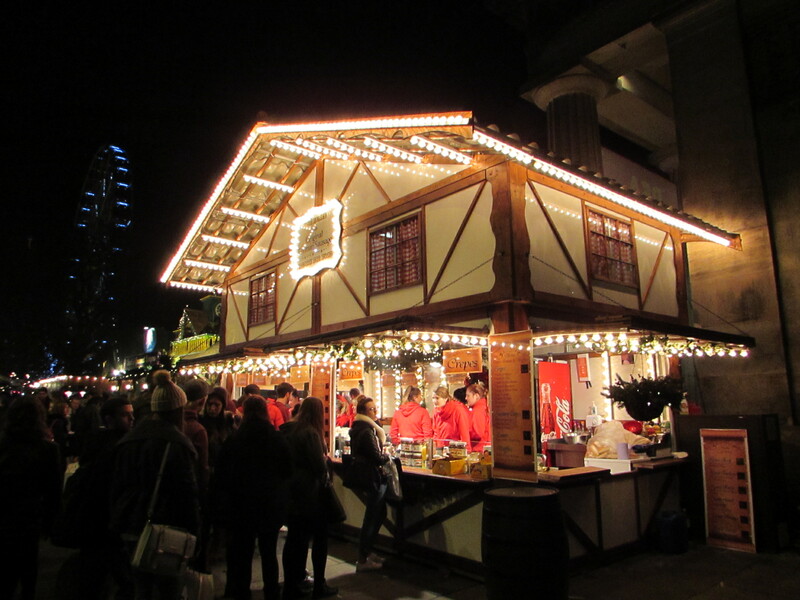 If Bavarian food isn’t to your taste, it’s easy to find fish and chips, burgers, and crepes. For those over 18, the market has some interesting and unique drink stands. 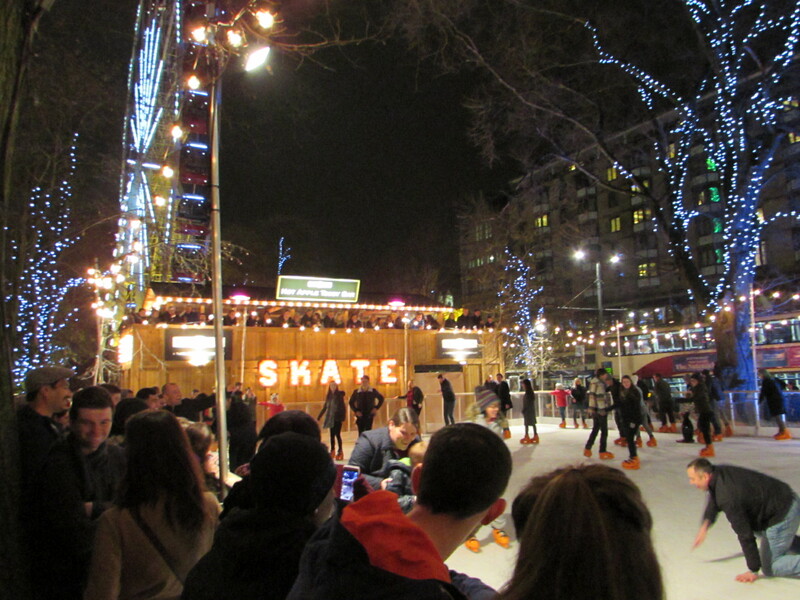 We really loved the Carousel Bar, which is near the National Gallery, and the Hot Toddy Bar, which overlooks the skating rink (above the “SKATE” sign in the picture). All of the bars have similar menus, and for a £2 deposit, you’ll get a ceramic souvenir mug which can either be taken home or returned. 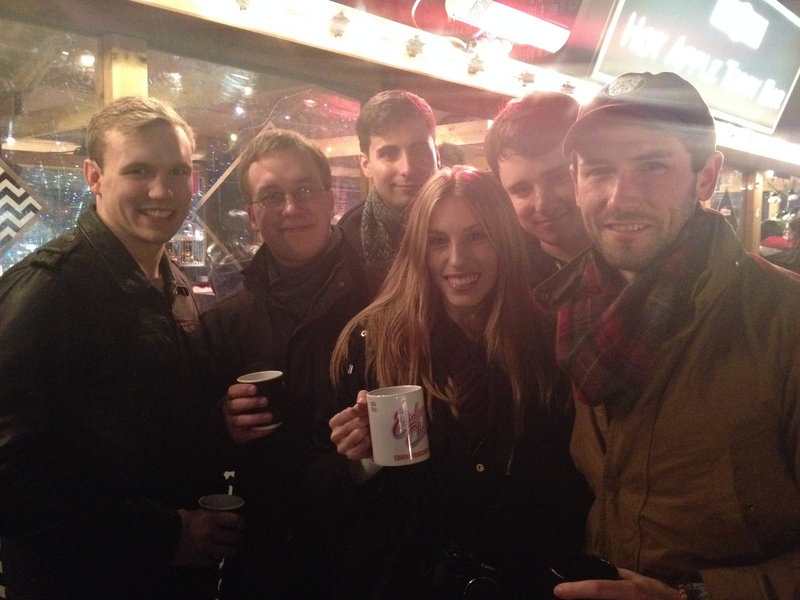 You can order various types of drinks, including hot toddies, gluhwein, and mulled cider. They have non-alcoholic beverages available too, of course! 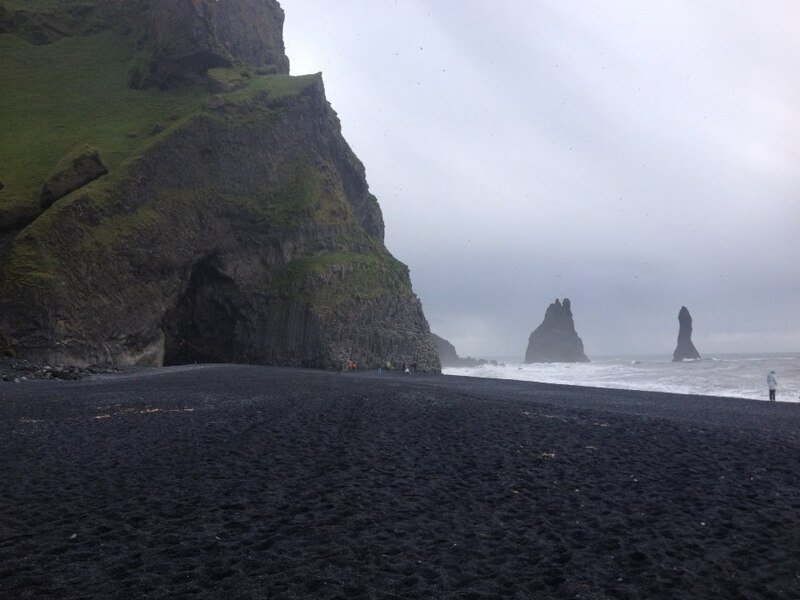 Last August, Alex and I visited a place that was on both of our bucket lists: Iceland. 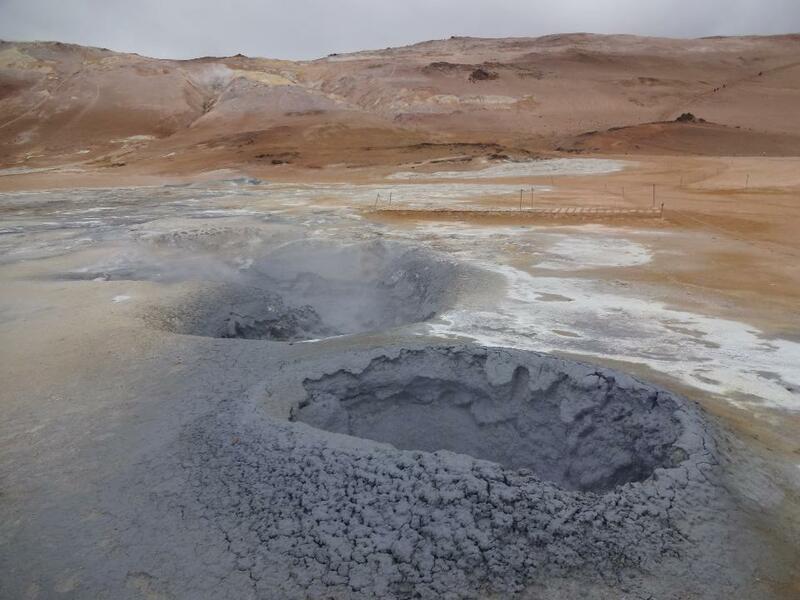 Most travelers coming to Iceland visit Reykjavík, the capital. 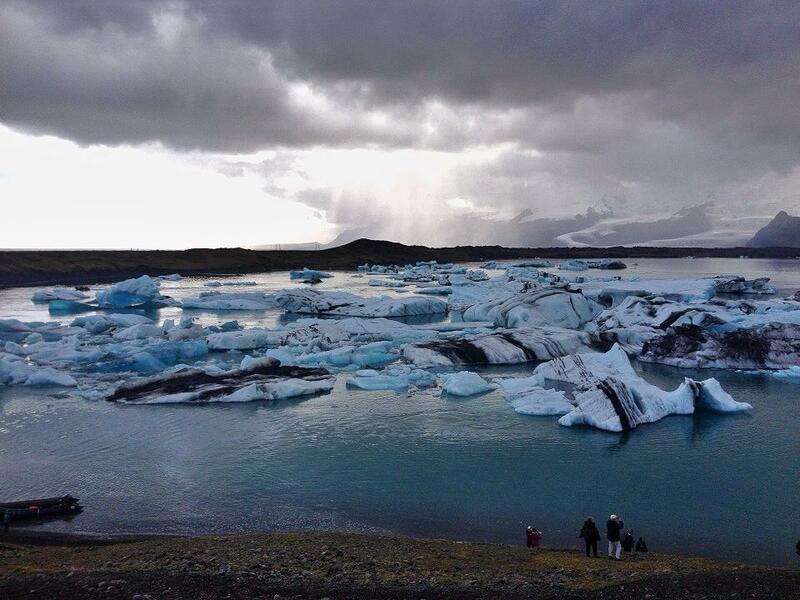 It’s not surprising, since nearly 2/3 of Iceland’s population lives there. 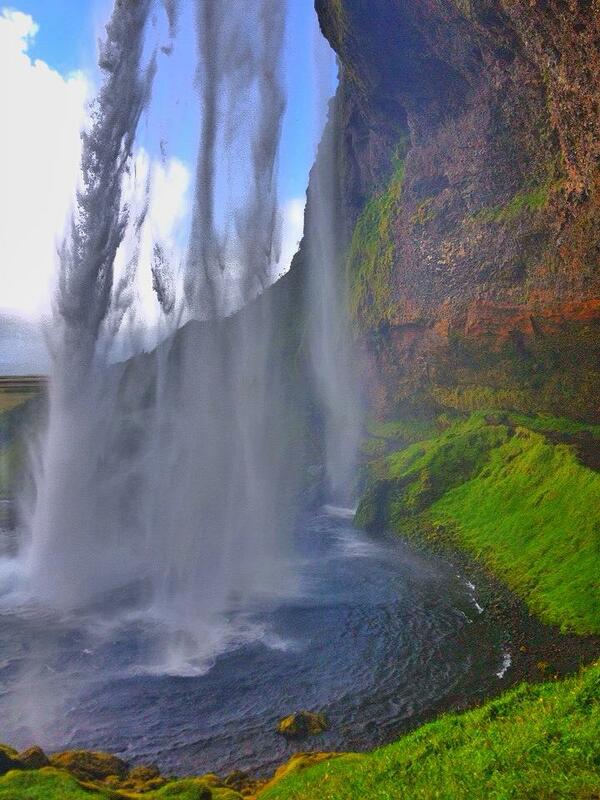 But the rest of the country offers some of the most jaw-dropping sights in the entire world. 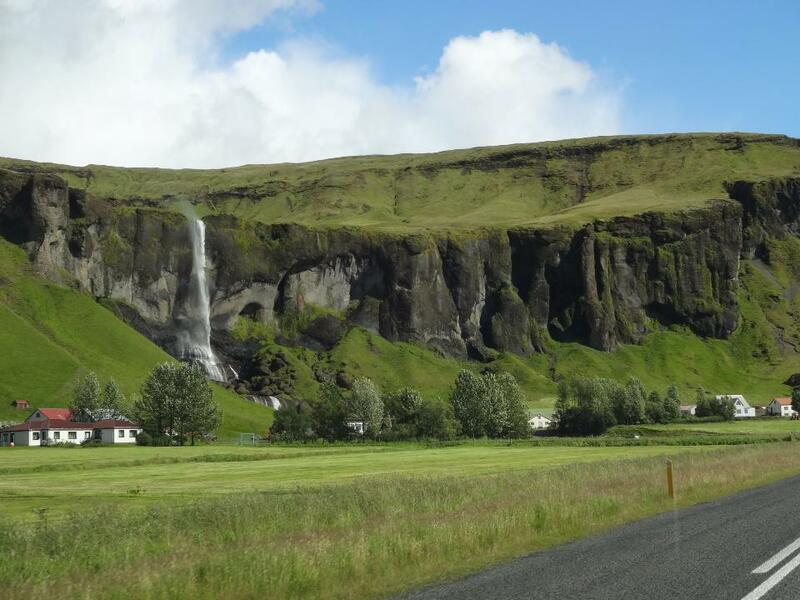 We covered as much of the country as we could, driving around Iceland on Route 1, also known as the “Ring Road”. It was easily one of the most beautiful drives we’ve taken. 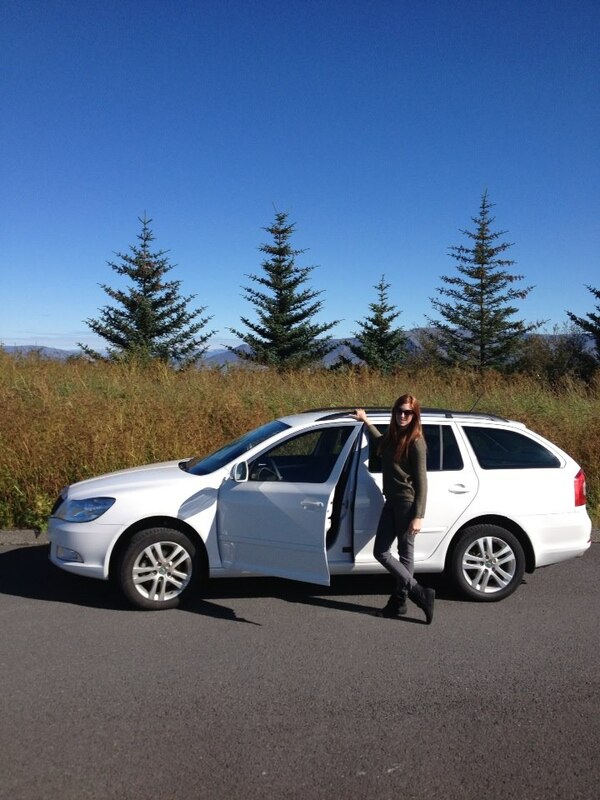 We rented a car for the journey at Keflavík Airport. Although we paid for a “mini”-sized car, we were lucky to be upgraded for free to a standard sized vehicle, a Skoda Octavia. 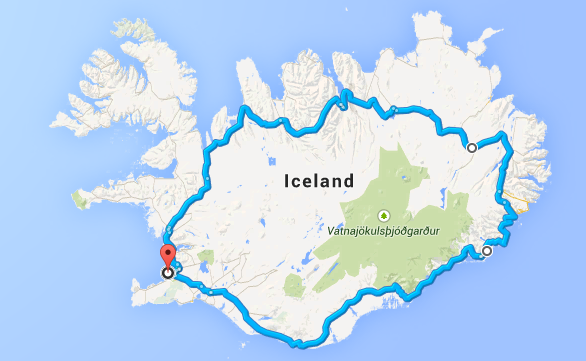 The entire trip is 1,300 km, and can be driven either clockwise or counter-clockwise from Reykjavík (we went counter-clockwise). 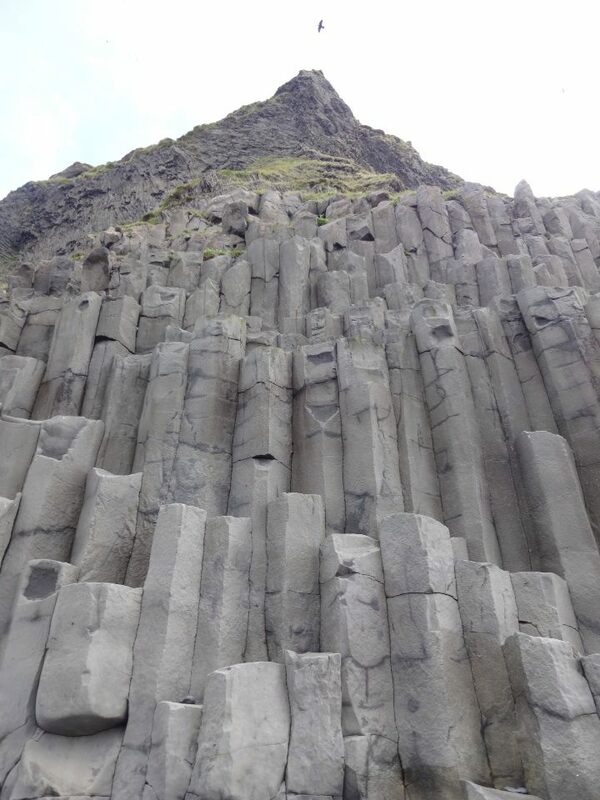 We drove the Ring Road in 6 days; although, the absolute minimum number of days it would take to complete the trip is 5, and ideally we’d recommend doing it in 7 or 8 days. Trust us, you won’t regret taking the extra time to enjoy the journey! Our #1 suggestion for this road trip is to book your accommodations in advance. 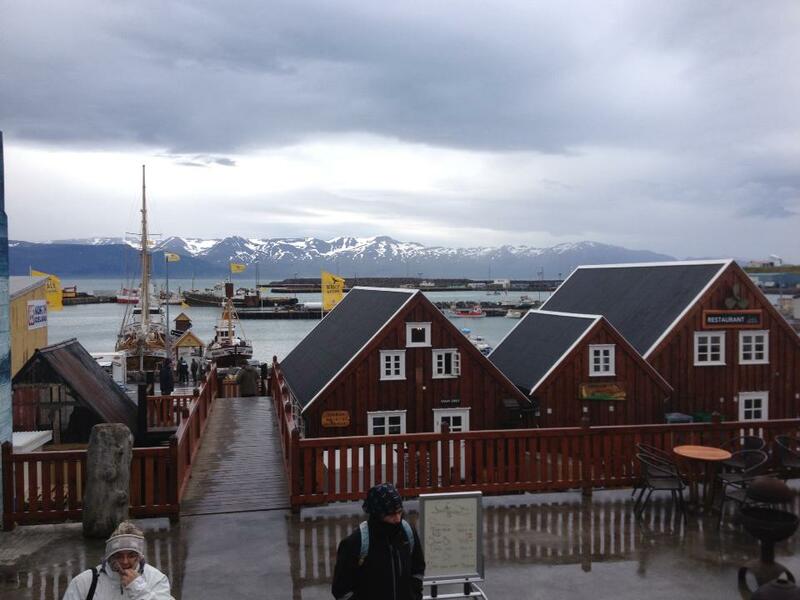 Iceland is very sparsely populated, and places do get fully booked, especially in the Summer. Accommodations along the route include motels, dormitories, farm stays, camping sites, and apartment/cabin rentals. 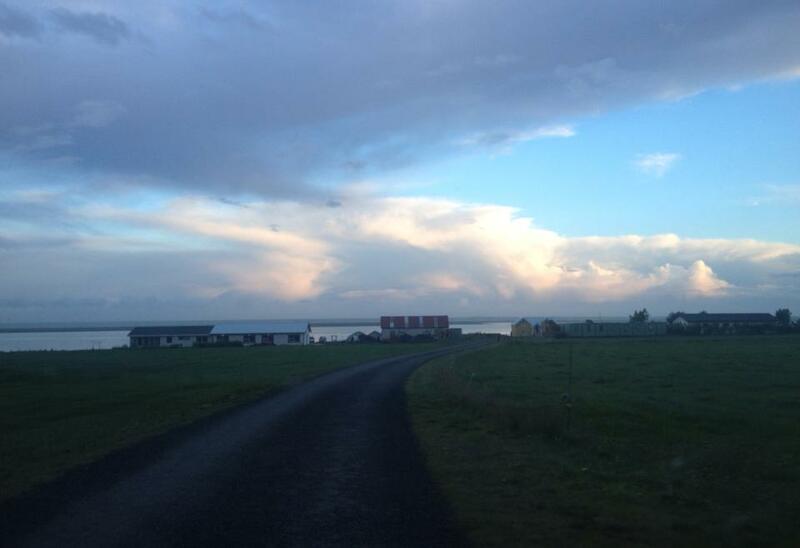 We were lucky enough to stay overnight at an ocean-side farm. 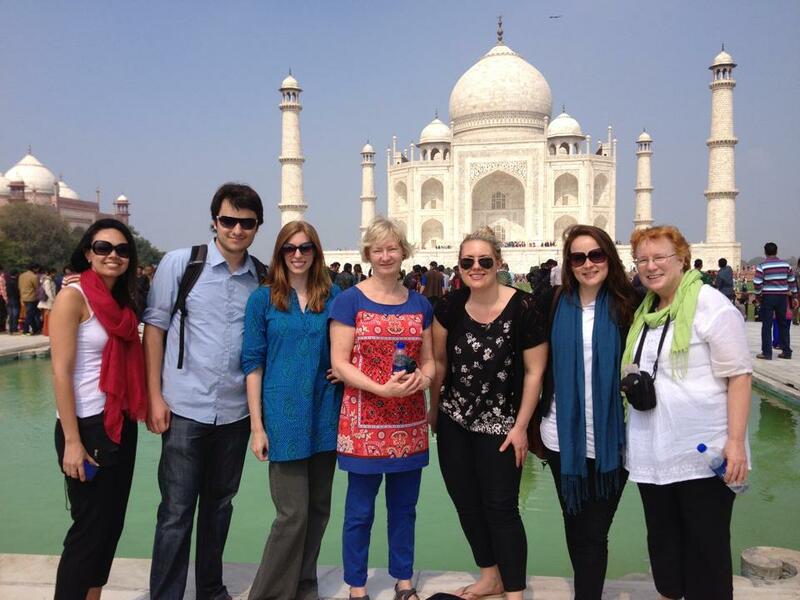 It was one of our favorite experiences on the trip and we’d highly recommend it! One of the greatest misconceptions about travel is that you need to buy an expensive, high-tech camera to document your adventures. But many of us do not have the technical “know how” or the luxury of spending hundreds, if not thousands, of dollars on a camera for a once-in-a-lifetime trip. I’m here to tell you that you CAN take great pictures on your phone. 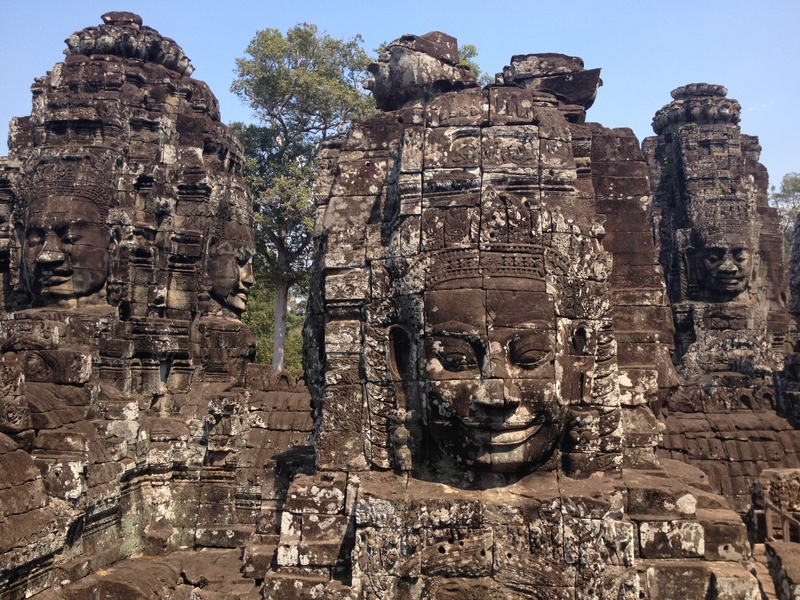 In fact, some of my all-time favorite travel pictures were taken on my iPhone. Sure, they can’t be blown up to poster size or used for commercial purposes, but they are still great to look at. –Take advantage of the cropping tool. So many of my pictures have been enhanced as a result of strategic cropping. Look closely at every picture you take because you never know what gem you might find. 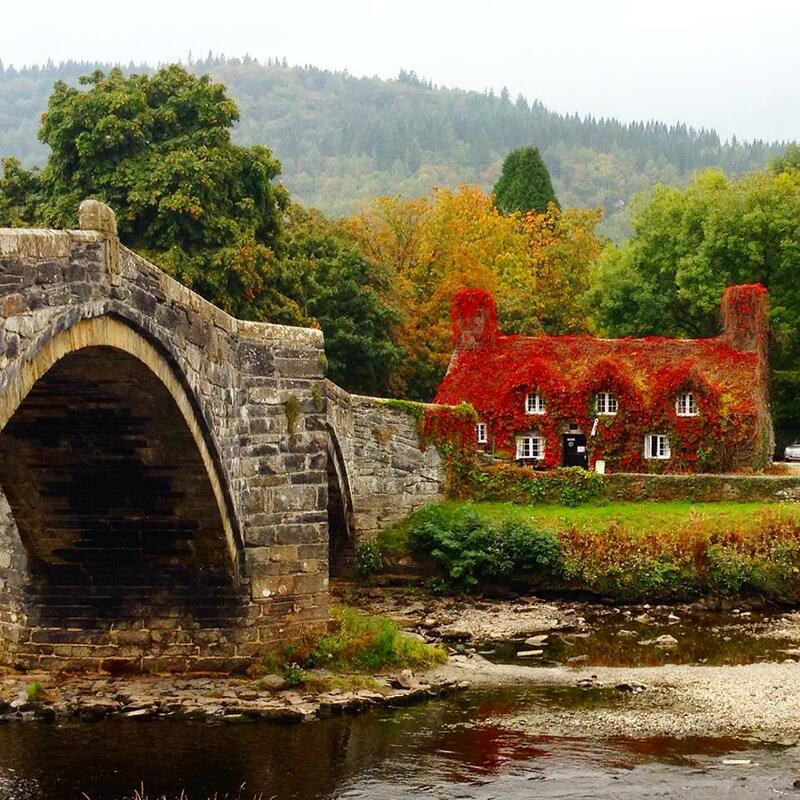 In this picture from Wales, you would never know that there was a car coming across this bridge or that there are people playing in the river! –Work your angles! Photos can look more visually interesting by utilizing different angles. Don’t just limit yourself to straight, front-facing images. 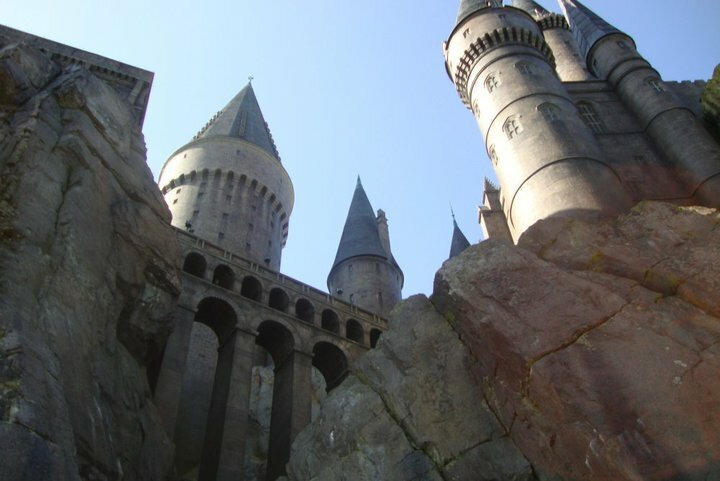 At “Hogwarts” in Florida and in Vik, Iceland, I was inspired by the sheer magnitude of the objects I was standing next to. –Move the focal point of the image away from the center. It can look really interesting to shift main object slightly to the right or left. In this picture from Marfa, Texas, we were able to capture the entire RV and make the picture more visually appealing by sliding the placement of the doorway to the right. –Keep the horizon at a straight angle when photographing landscapes. Landscape pictures can look very crooked if you don’t line align the horizon properly. This picture I took at Angkor Wat shows a fairly straight image, and therefore allows the viewer to focus on the subject rather than getting distracted by angles that might compete with the picture box itself. I hope this was helpful for those of you who, like me, are amateur photographers that enjoy capturing life’s exciting moments. 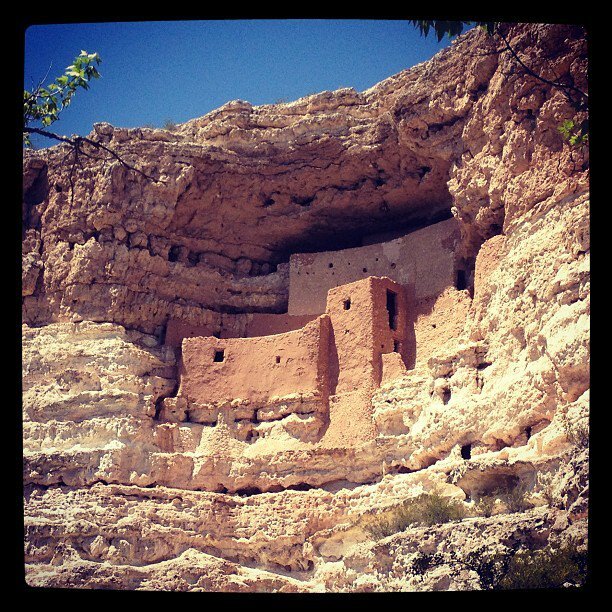 Feel free to share your best camera phone pictures, I’d love to see them! *All of the pictures in this post were taken on my iPhone 4s. The only editing that has been done is through the photo editing apps mentioned above. I do not Photoshop pictures or alter them in any other way. Instead of a magnetic stripe, the standard credit card in the UK contains a chip. Since our card doesn’t have a chip, cashiers have to ask to see our signature on the back. Instead of a signature, however, “SEE ID” is written across the back. This has confused nearly everyone. We then have to show the signature that is on our driver’s licenses, but it is quite a process even to make a simple purchase. Clothing sizes are different from the US. Further, some brands have European sizes, while others have UK sizes. I’m sure this will be a fairly painless adjustment once I memorize the conversions, but it’s a very intimidating problem at first! It’s very time-consuming to go out to eat here. The service is very slow, and even a casual meal at a sit-down restaurant can take up to two hours. You also have to factor in the time that it takes to get there, whether it’s by walking or via public transportation. That usually tacks on an additional 30-60 minutes. It’s very difficult to stock up on food in advance. Since the food is fresh and without as many preservatives, things expire quickly. I’m finding that shelf life is typically only a day or two. Perhaps this is why refrigerators are so small here! Going to the gas station is quite an affair. Filling up can take quite a while since there is usually a line of cars waiting for the pump. This is because there are no credit card machines outside, so you must go inside to pay. And there is usually a line in there, too! In the US, I wash my face with an over-the-counter benzoyl peroxide cleanser. I couldn’t find any face washes with benzoyl peroxide here, and was told that I have to go to a chemist for it. The chemist explained to me that all benzoyl peroxide is out of stock until further notice and recommended an “antibacterial” face wash as a substitute. So far, it works, but if anyone has suggestions on where I can find benzoyl peroxide face wash here in the UK, please advise! If there’s one thing I learned this week, it’s that I’m unapologetically suburban by nature. This isn’t something unique to the UK, but since this is something I’m not accustomed to, I’ll include it on this list. In particular, the crowds of people, public transportation, and the smell of car exhaust and cigarette smoke are a big adjustment for me. I feel like I have to carry around hand sanitizer with me at all times to stay healthy! On the other hand, I was pleasantly surprised by how much I enjoy living in a small space. While I wish that we had a backyard, I don’t mind living in a small flat. We have 1/3 of the square footage that we had in the US, but I don’t miss it much yet. Our “cozy” flat is definitely manageable for two people. I haven’t learned how to get people to move out of the way when I am trying to get past them. I’ve tried “excuse me”, “pardon me”, and “sorry”, but nothing seems to work! When I am going down a path with only one point of access, I simply have to stand and wait for the person to move on their own accord. Am I missing something? AWKWARD. Everything simply takes longer. For example, doing laundry takes a long time because the washer cycle is approximately 90 minutes. The clothes also have to air dry, since we don’t have a dryer. Also (as mentioned above), eating and shopping takes a long time, since you typically have to take public transportation to get there. 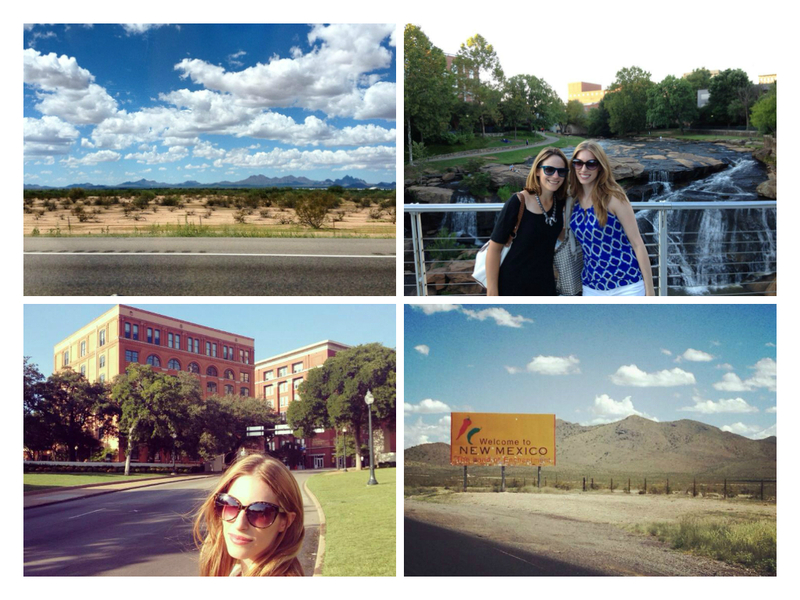 I didn’t realize how many conveniences we have in the US, and I won’t lie- I miss them! But these things will definitely help me to live a more active and healthy lifestyle overall. That’s it for now. 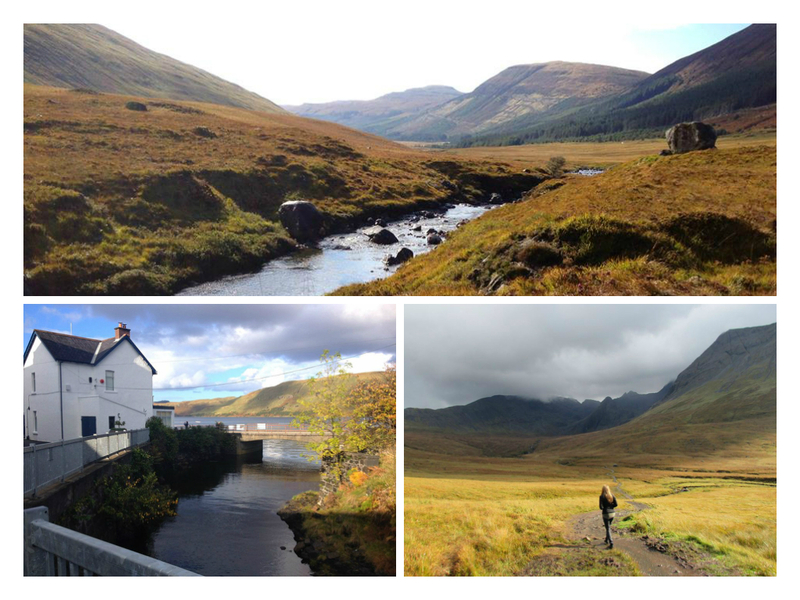 I look forward to the upcoming month ahead, as we get ourselves adjusted to life here in Scotland. There will be more updates to come!